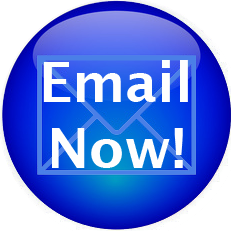 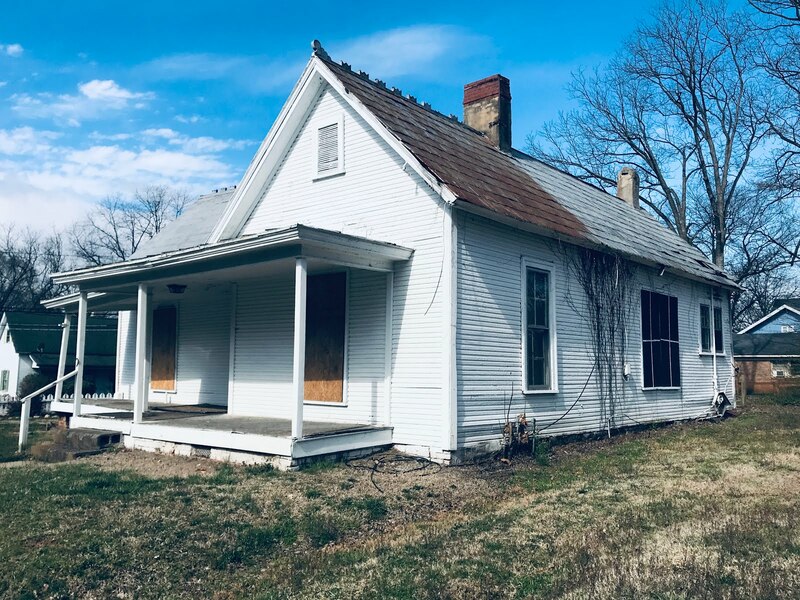 Have you asked yourself, "who was the original owner of my house, when was my house built, or what is the history of my property?" 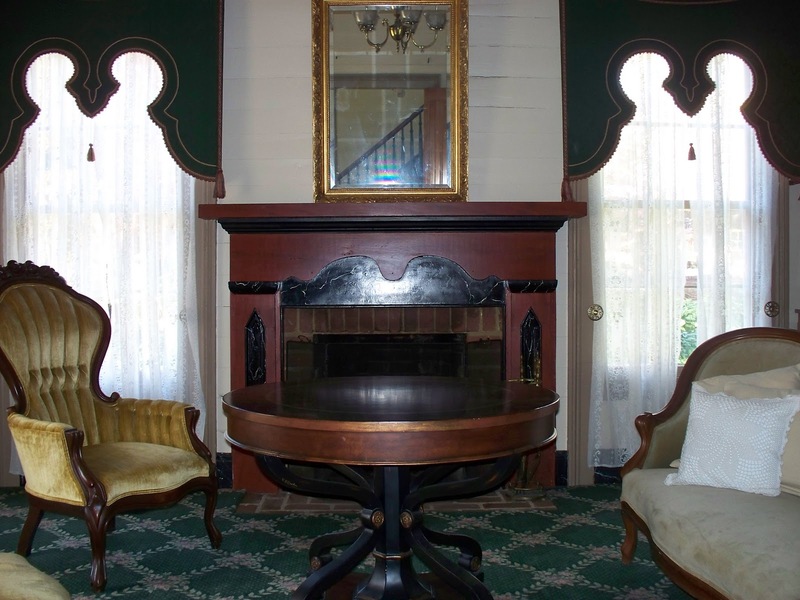 Then this is the circa 1852 home is for you. 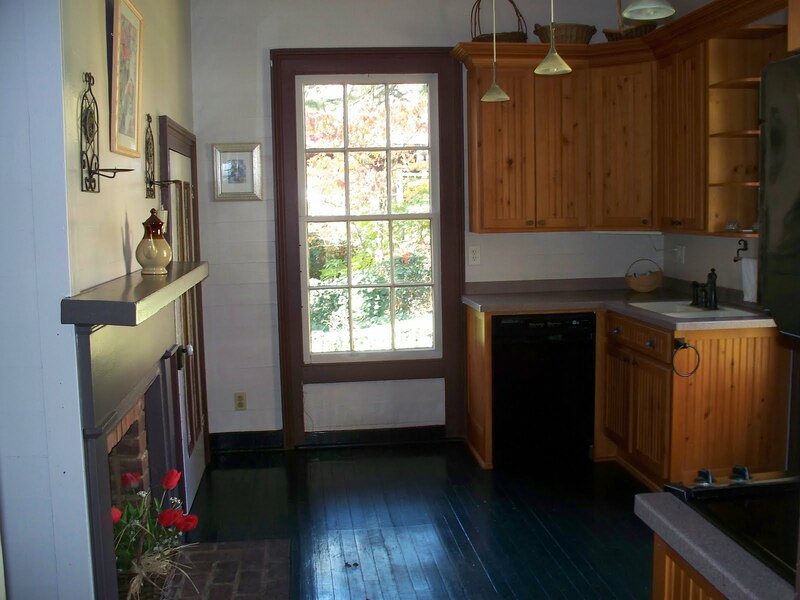 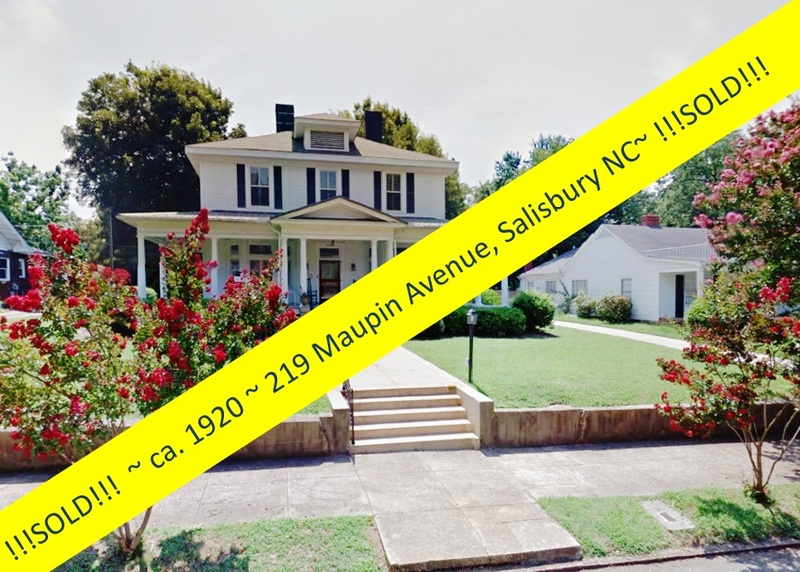 If the Maxwell house could talk, originally built in 1852, it would tell you stories of the Civil War, the Bread Riots in Salisbury when the women stormed the confederate stores for flour and food. 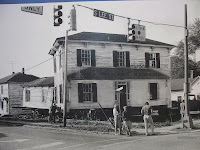 It would tell you about Sherman’s troops entering Salisbury in 1865 at the war’s end. 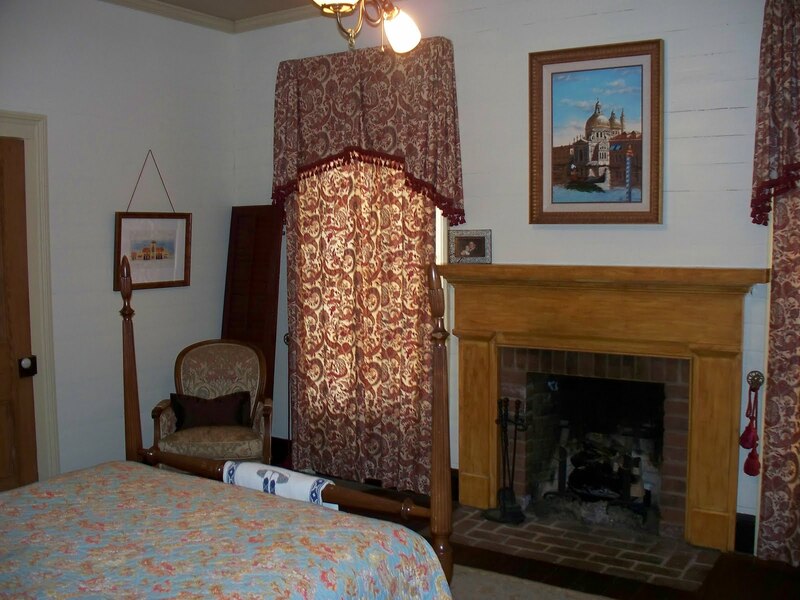 It would tell you about the surge in the textile industry and stories from the local mills. At the centennial of our country, October 1876, fire destroyed the Maxwell House. 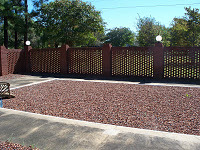 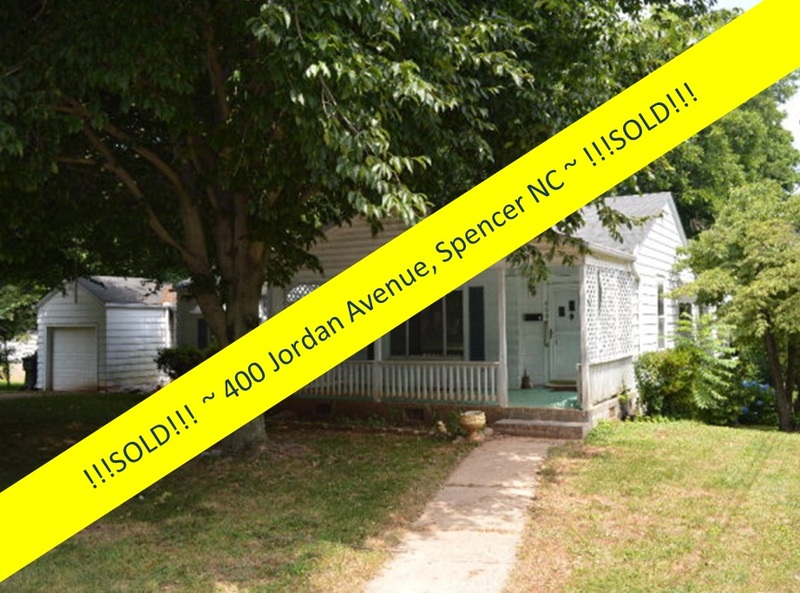 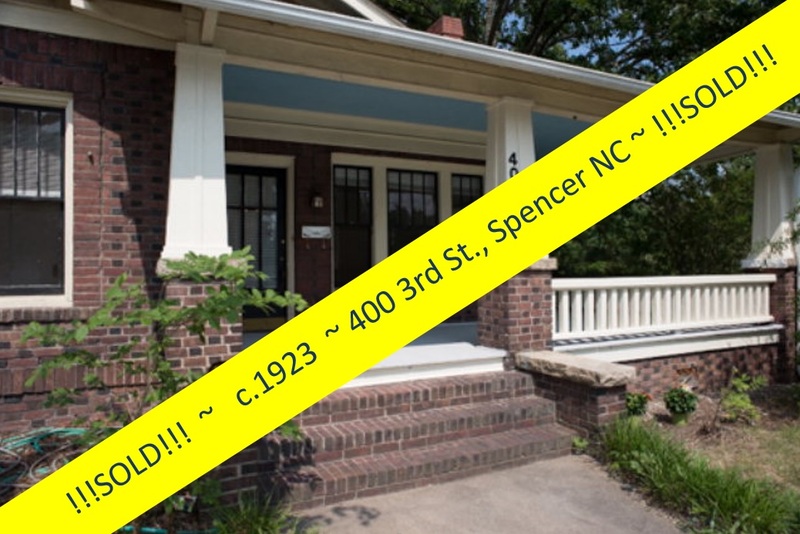 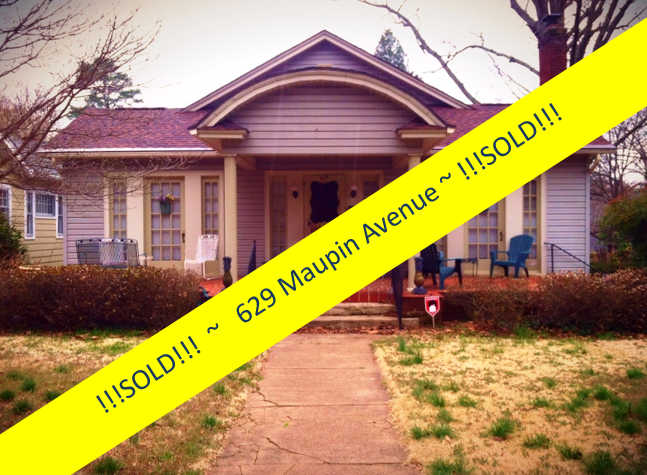 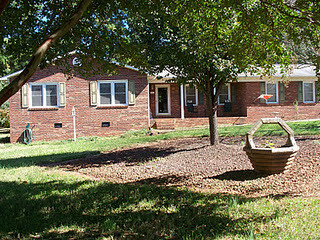 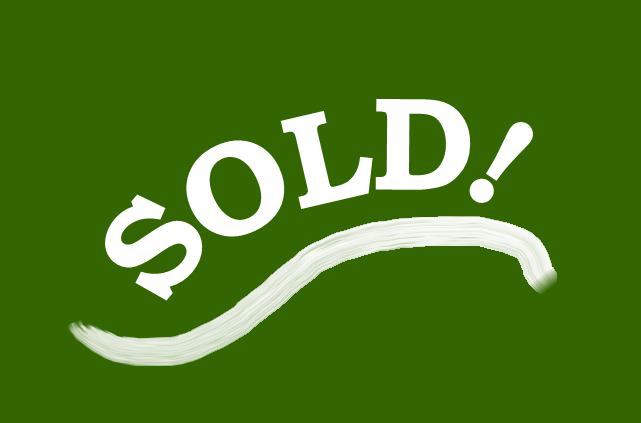 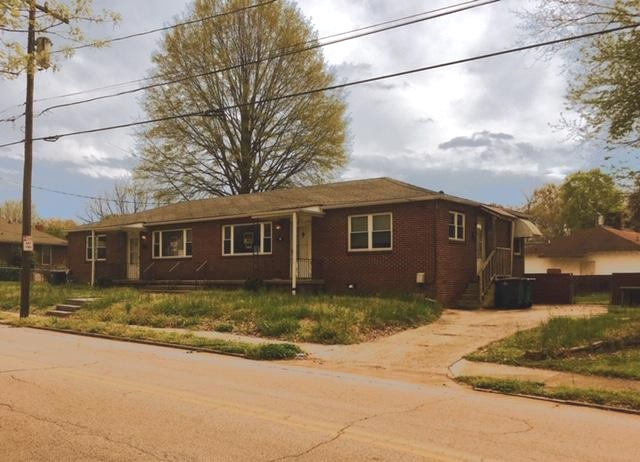 It would share with you that it’s new owner rebuilt immediately upon the foundation. 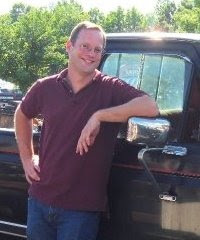 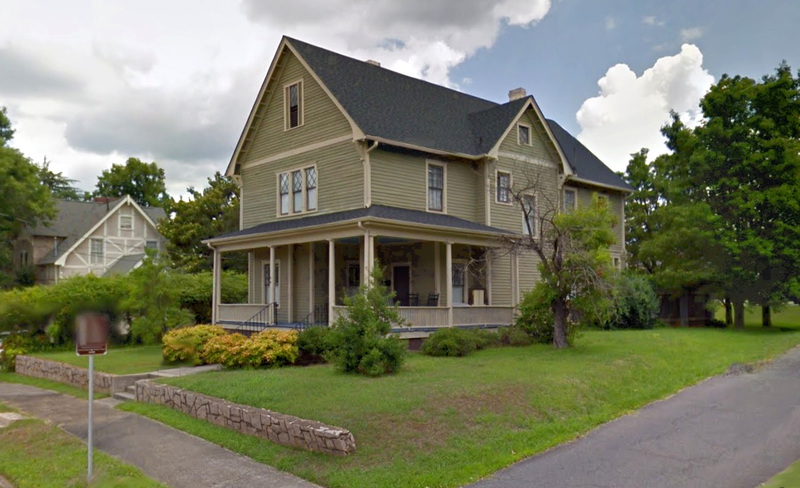 The Maxwell House’s stories continue through the ages. 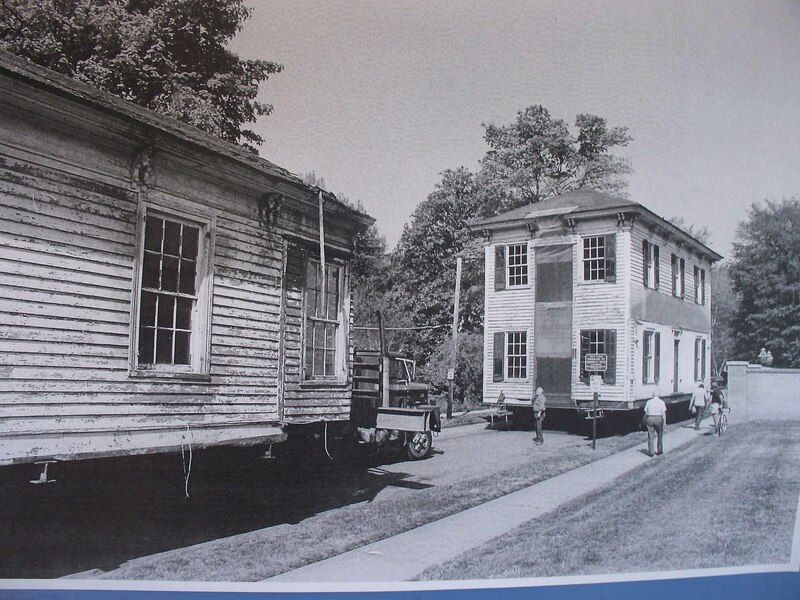 It has seen the Civil Rights movement, the integration of schools, the rise and fall of neighborhoods. 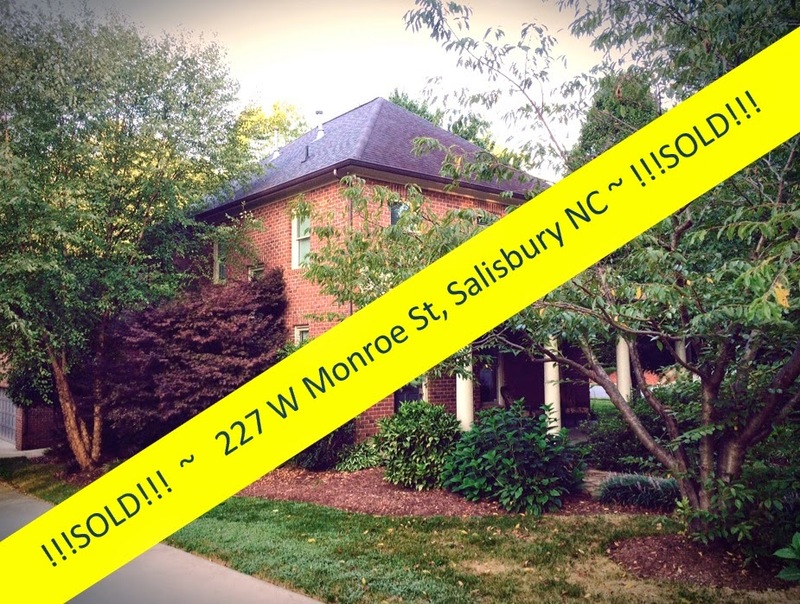 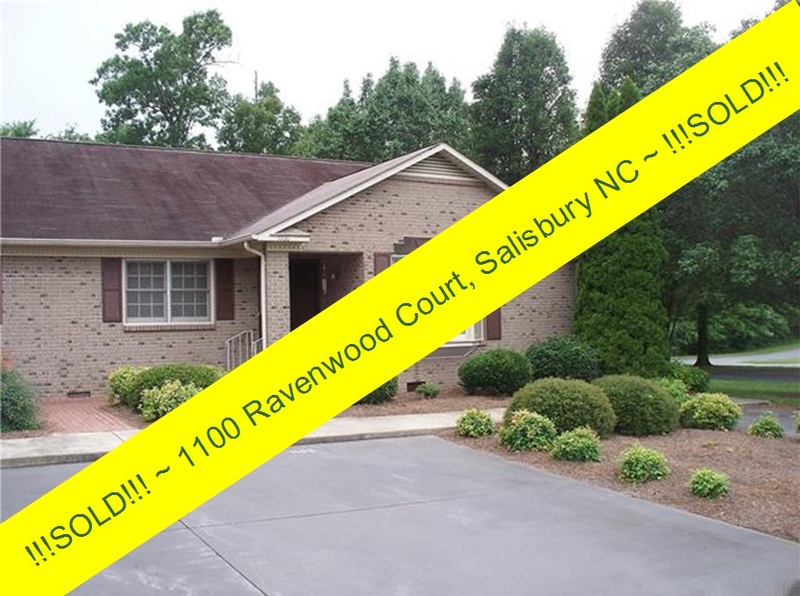 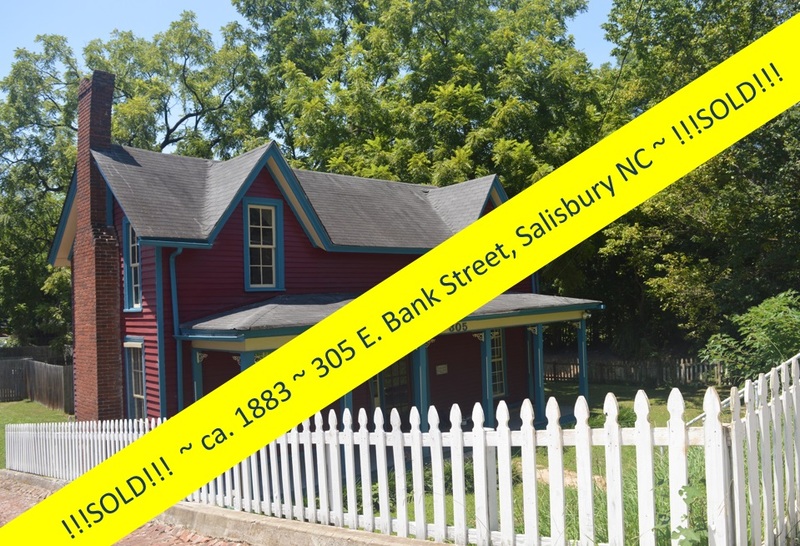 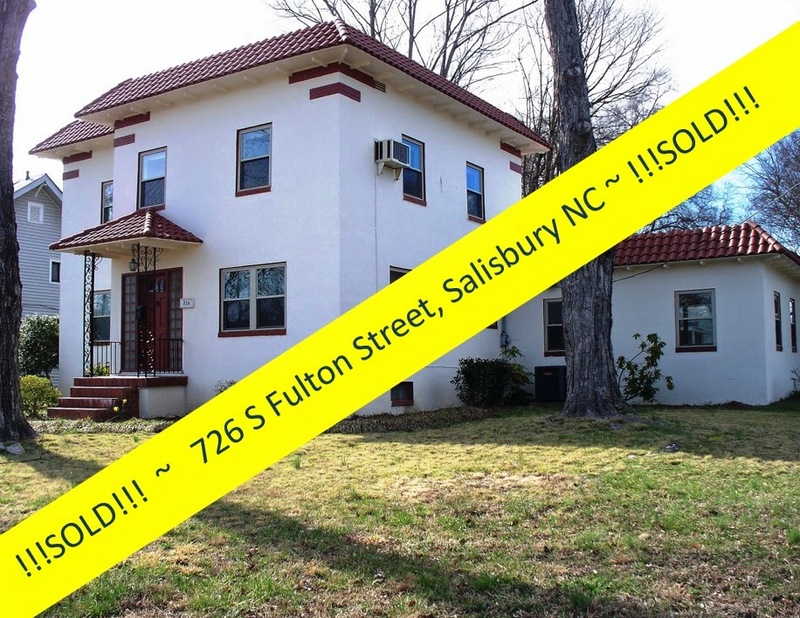 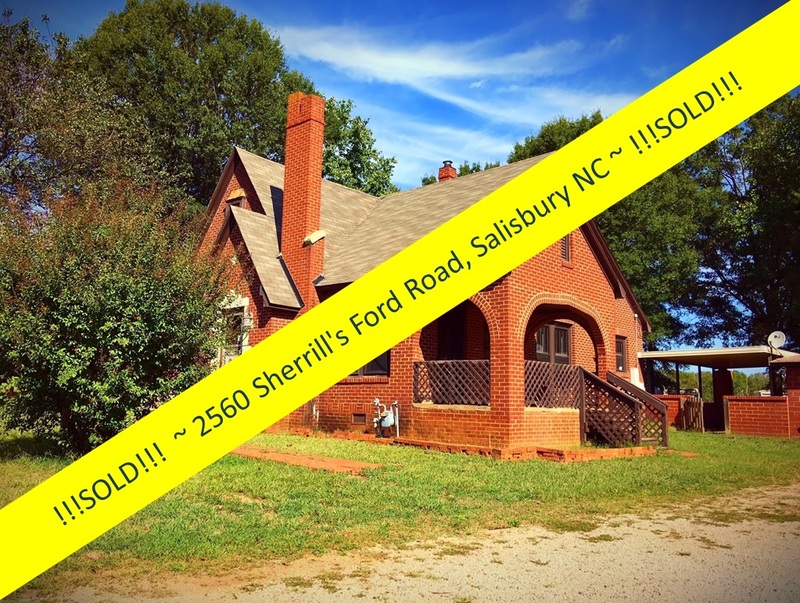 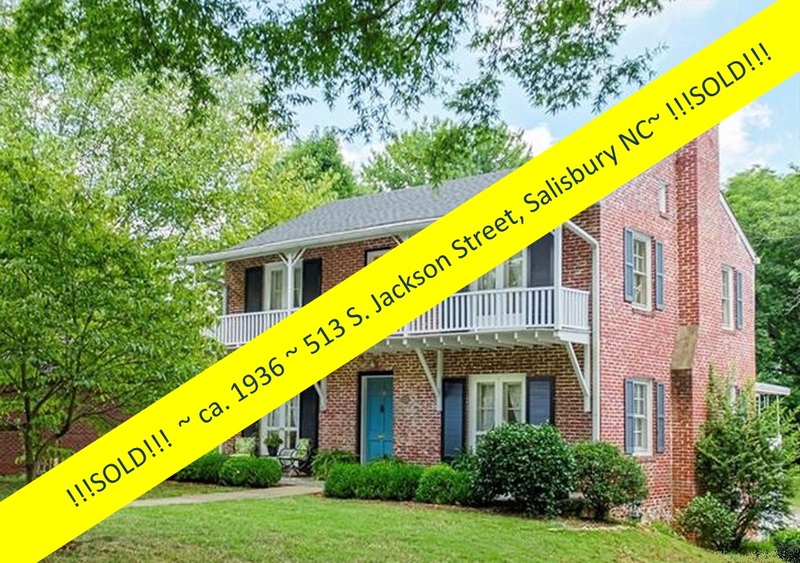 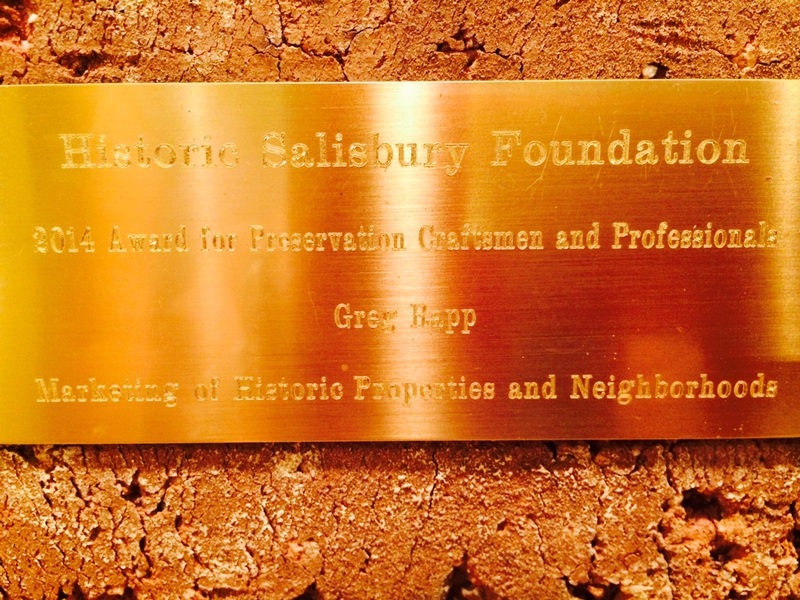 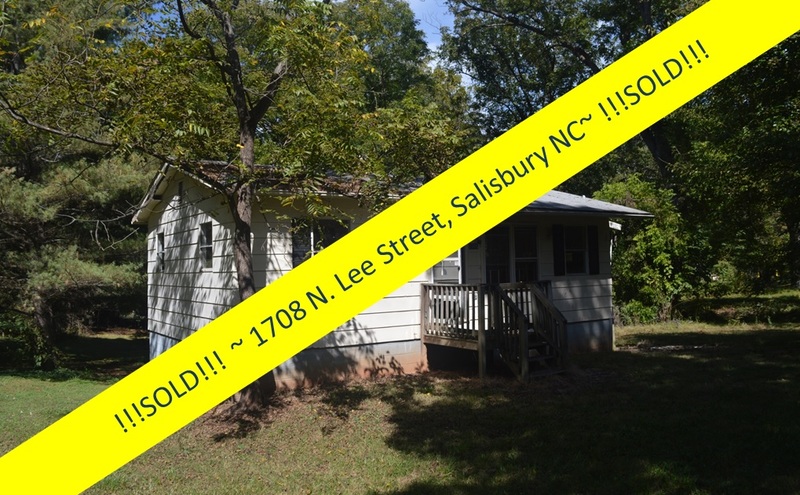 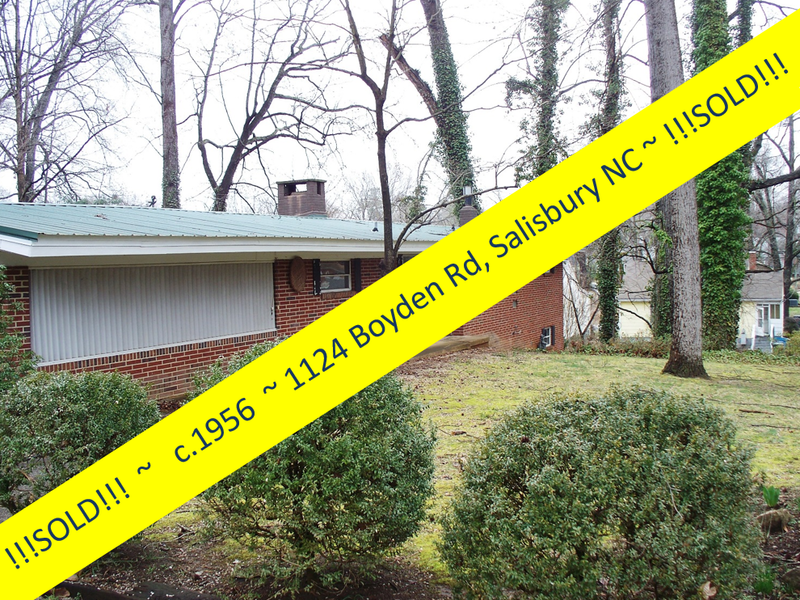 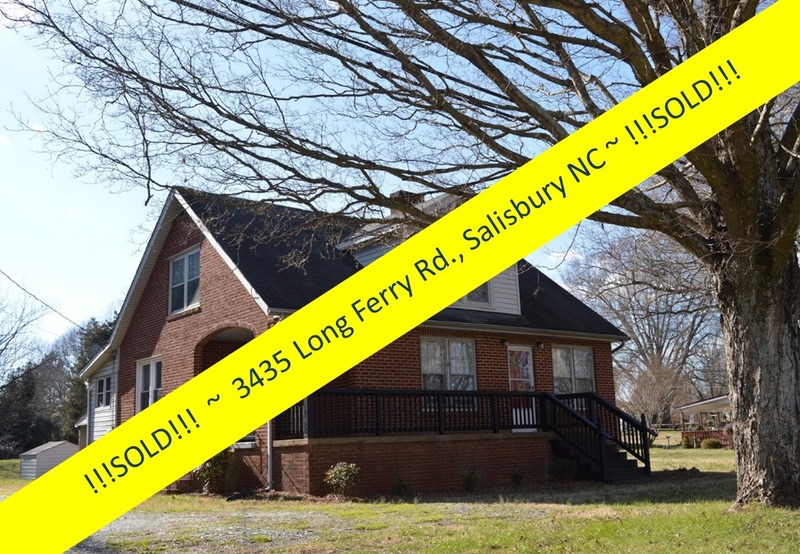 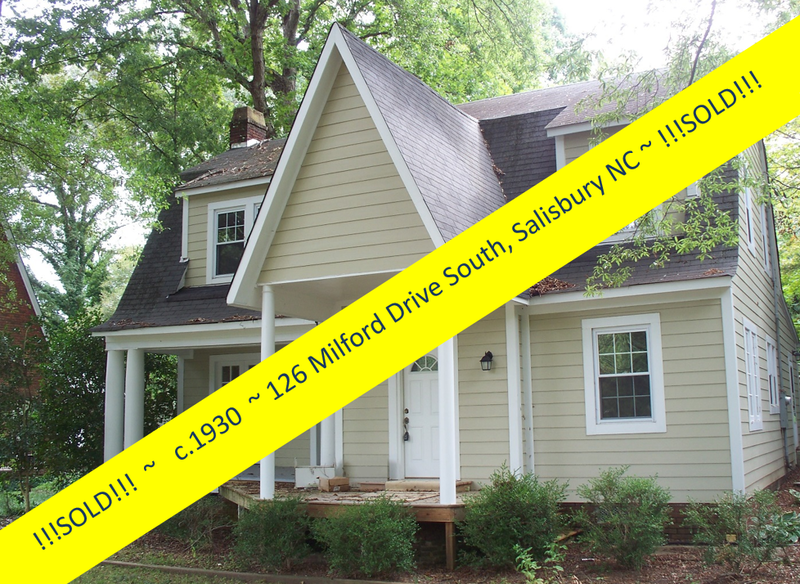 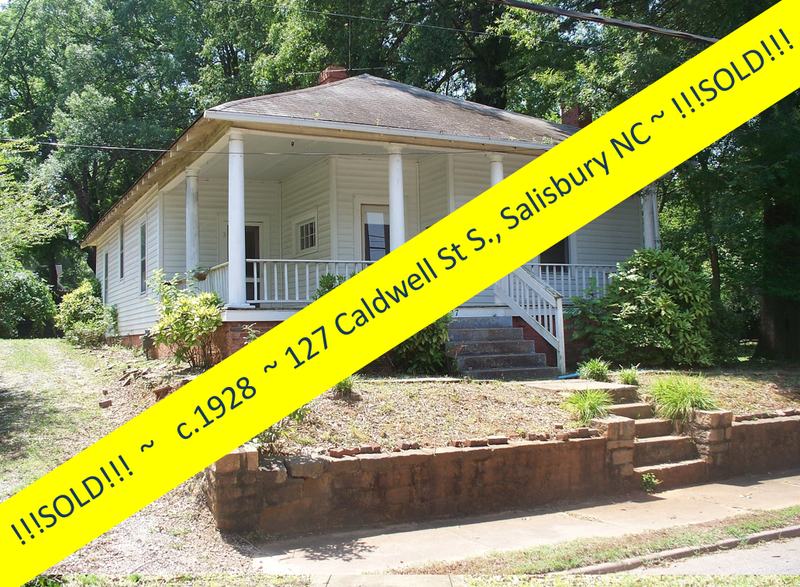 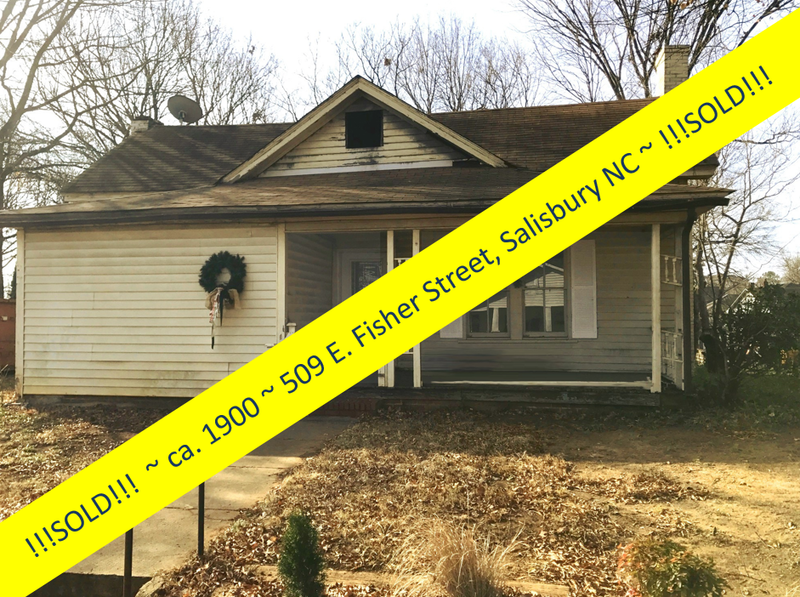 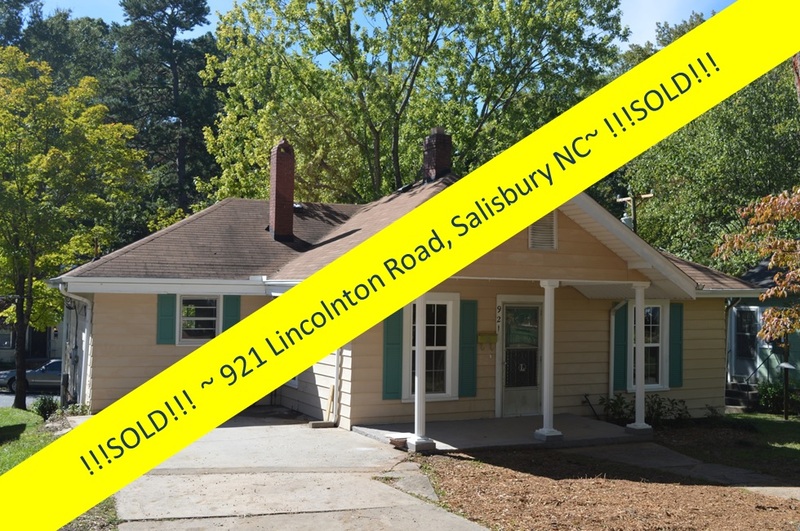 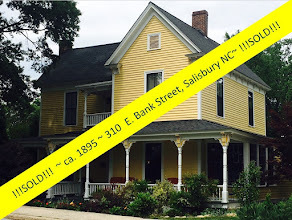 It was a victim of urban blight, and nearly in ruin, when the Historic Salisbury foundation purchased the home. 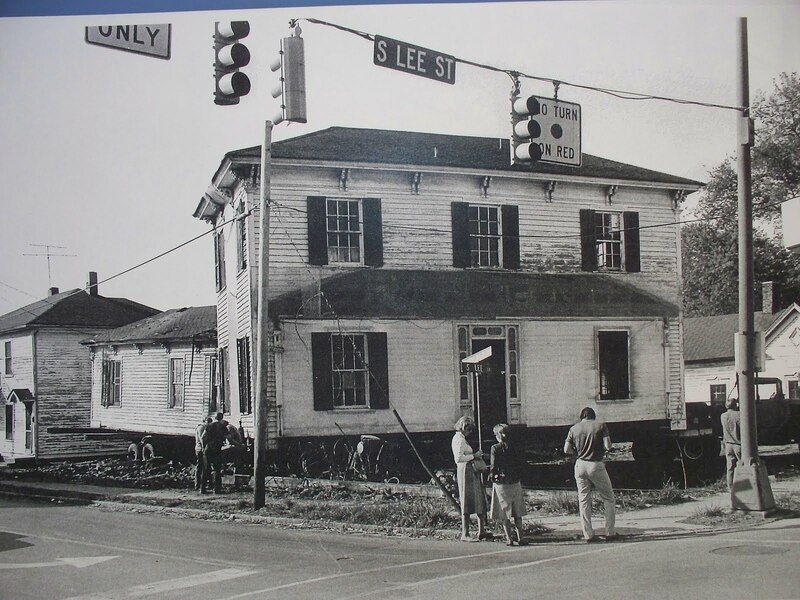 It will tell you of its journey through the streets of Salisbury when in 1985, it was lifted and moved from its original location at the corner of South Lee and East Fisher Street to its current location at 300 Horah Street. 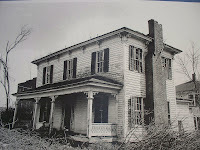 The Thomas T. Maxwell house, a mid~19th century Greek revival dwelling, originally stood at the corner of South Lee and East Fisher streets, in the old South Ward of Salisbury. 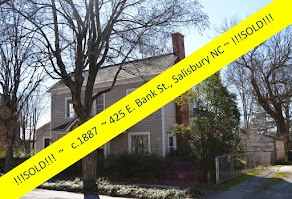 The Historic Salisbury Foundation purchased the home and in 1985 moved it to its present location to avoid demolition. Originally built in 1852 by Thomas Maxwell, the house is a simple “I” plan. 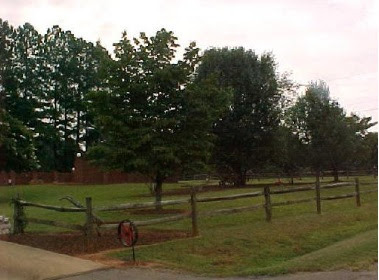 This is a rare example of early central Piedmont design. 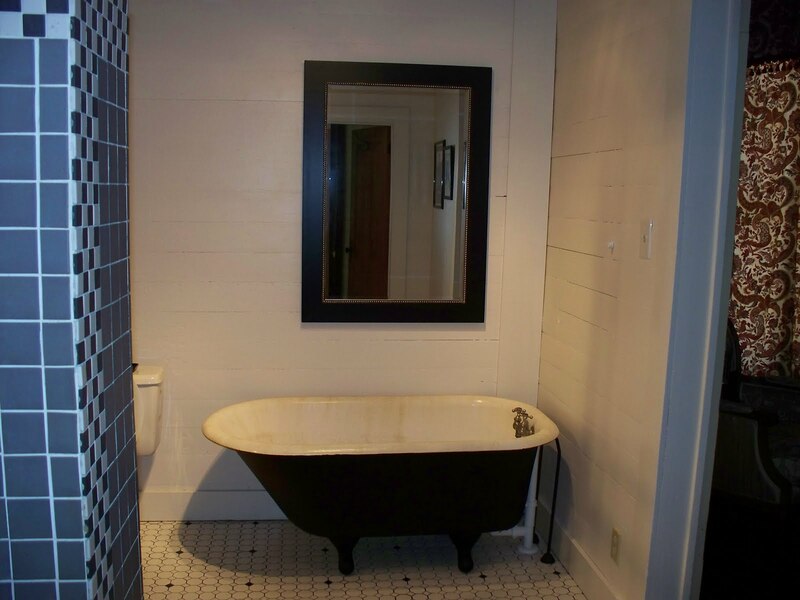 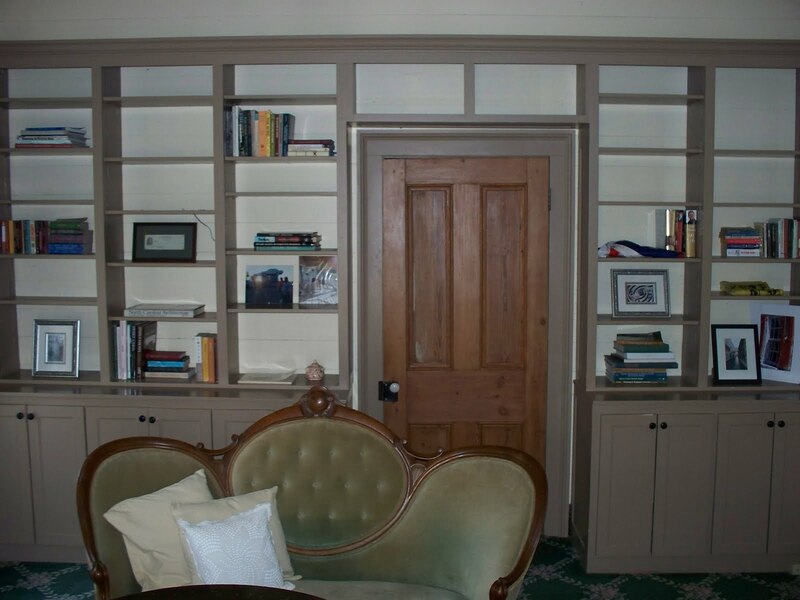 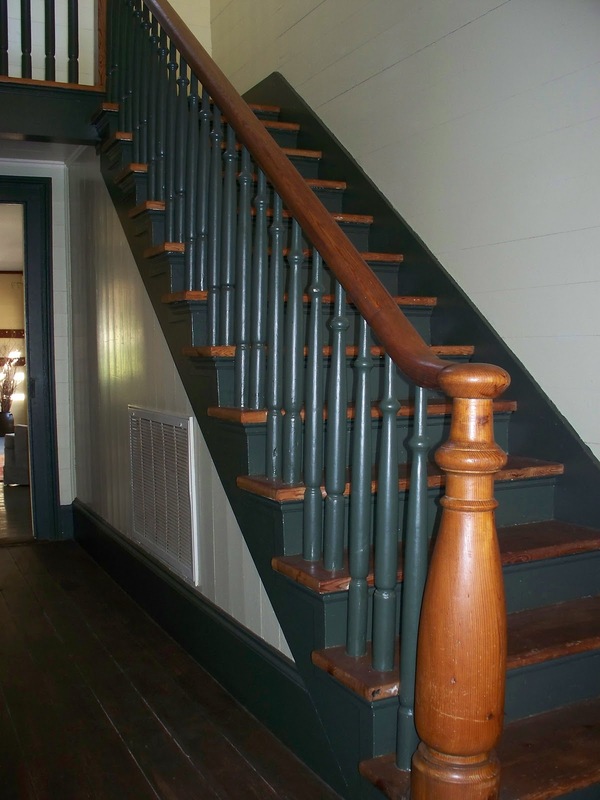 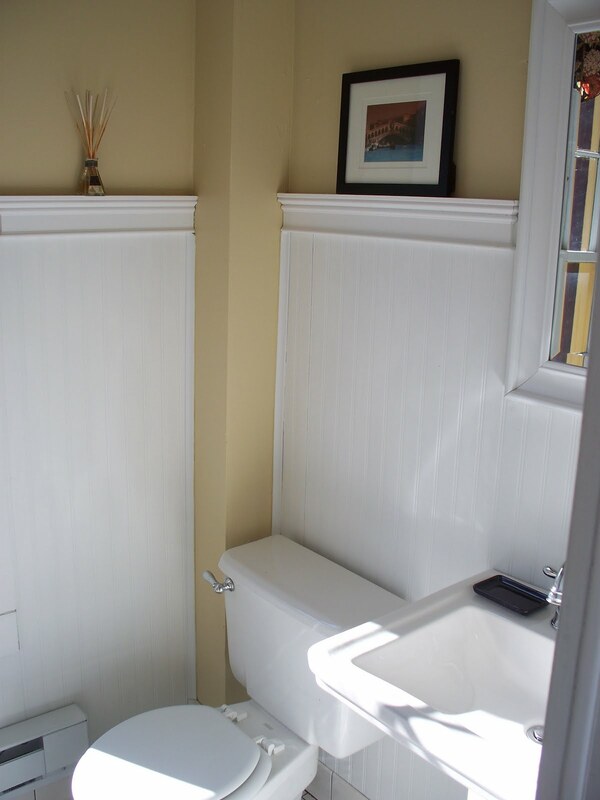 The home is rich with the artisan’s details: the marks of hand planed woodwork, original millwork on the staircase, and the tongue and groove walls (there is no plaster or sheetrock in the home). 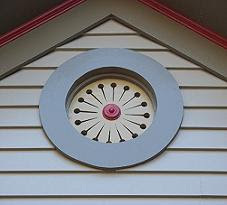 The house retains its original footprint, and the windows, doors, mantels, shutters, and even most of the hardware are original to the home. The house’s simple “I” plan includes a center hall and stairway in the single-pile two-story section. 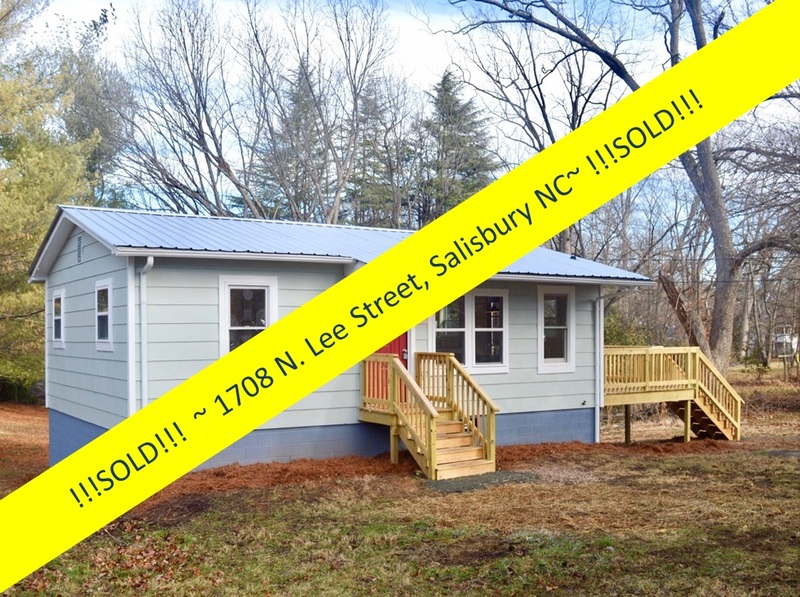 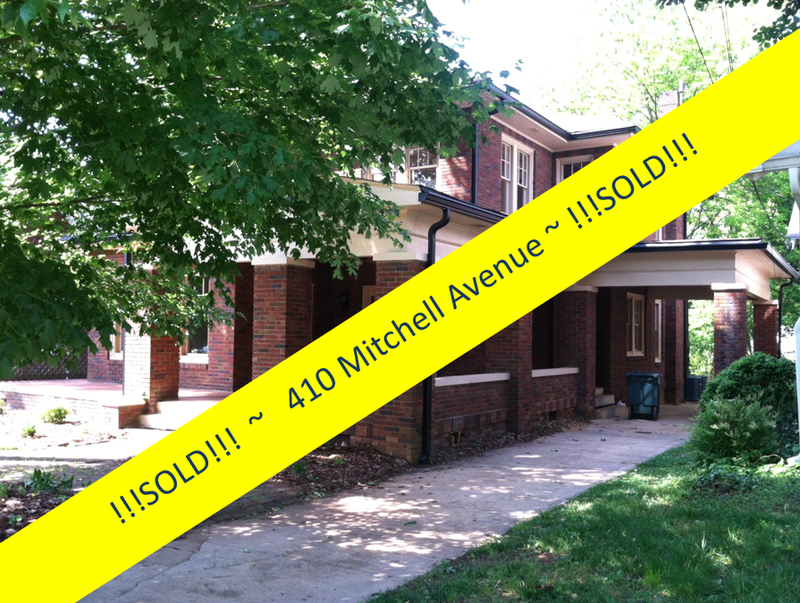 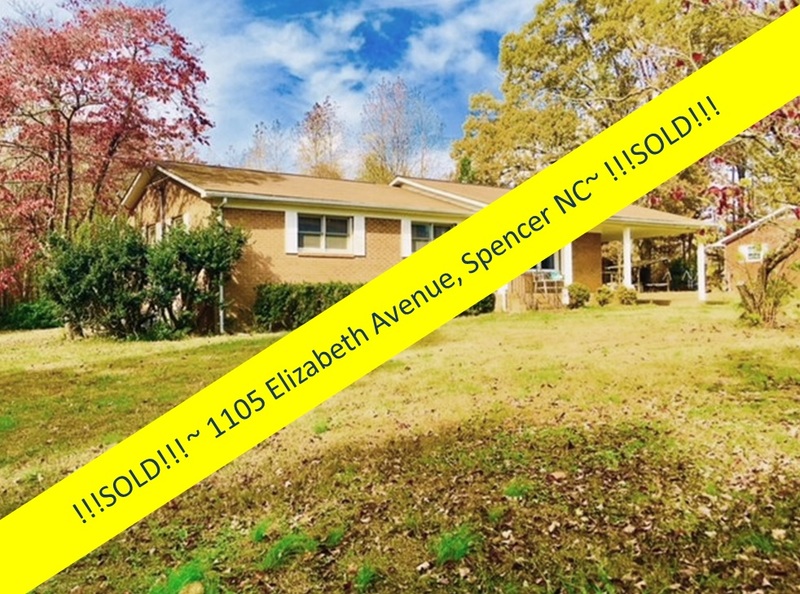 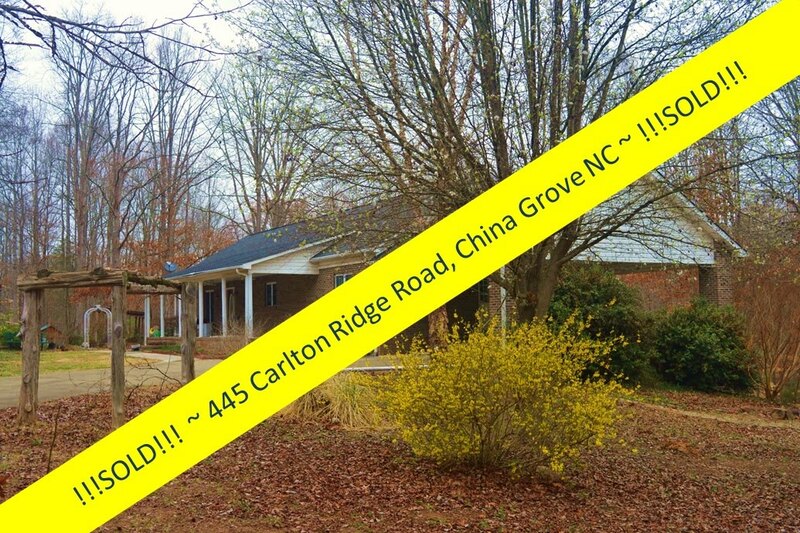 A semi-detached one-story ell containing a kitchen, dining room, and back porch/breezeway completed the structure. The hallway is still lit by what is believed to be an original light fixture, a fixture that was originally intended to operate via both gas light and new fangled electricity. 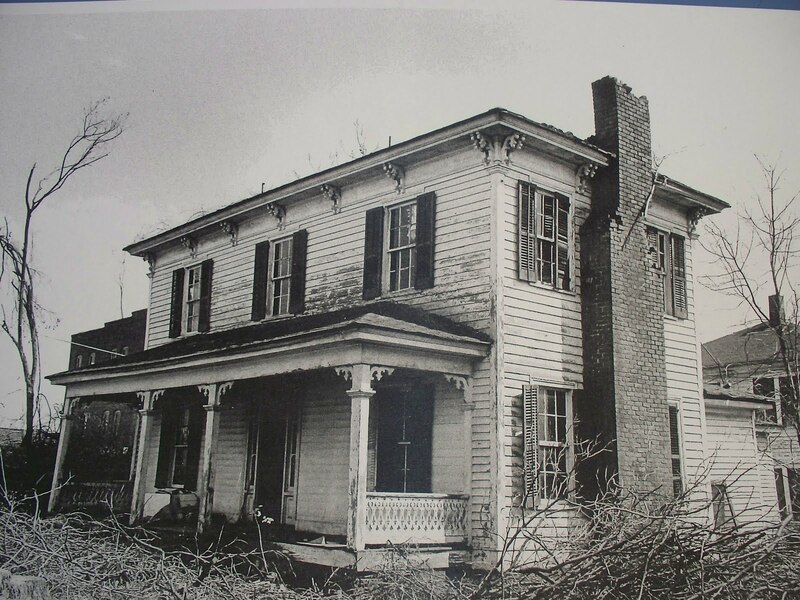 In October 1876, the Maxwell House was destroyed by fire. 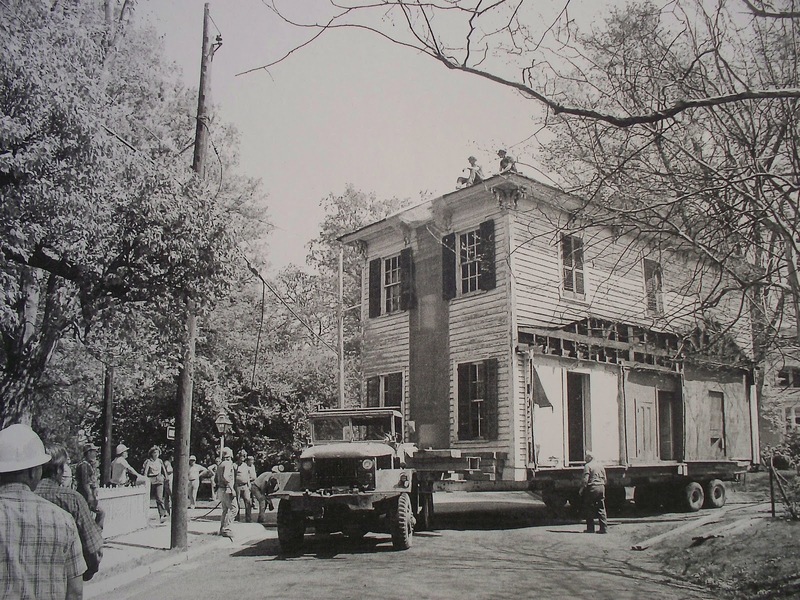 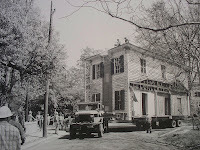 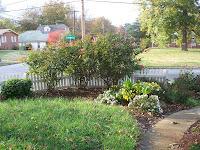 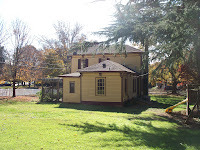 Its owner at the time, Mr. B. F. Rogers, began rebuilding immediately upon the foundation of the original house. 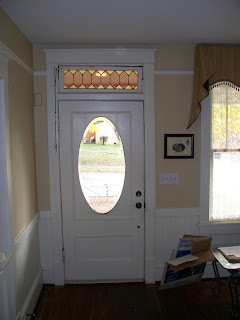 It is that rebuilt dwelling that we see today. 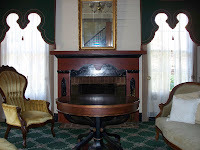 The home is resplendent with special features, such as the dining room’s hand painted floor, the faux-marble painted accents, typical of the time period, in the parlor, claw foot bath tub, and pierced porch balustrades. 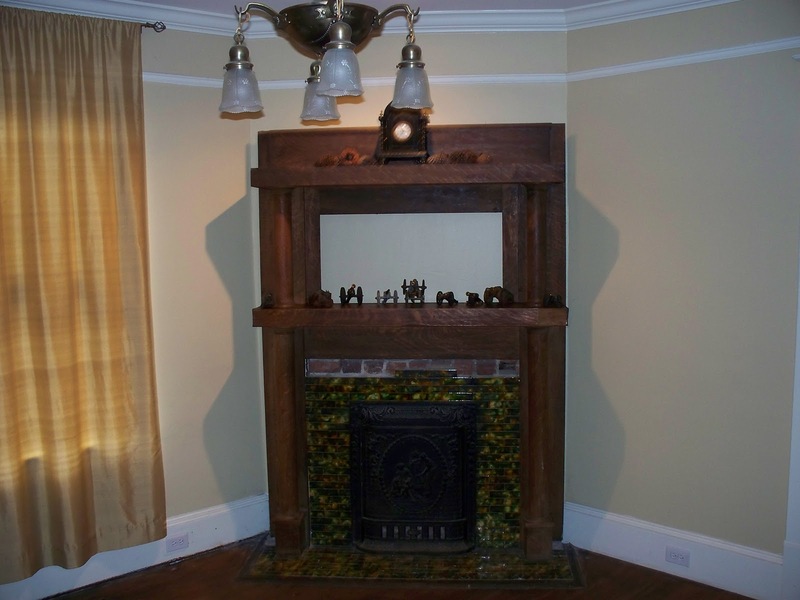 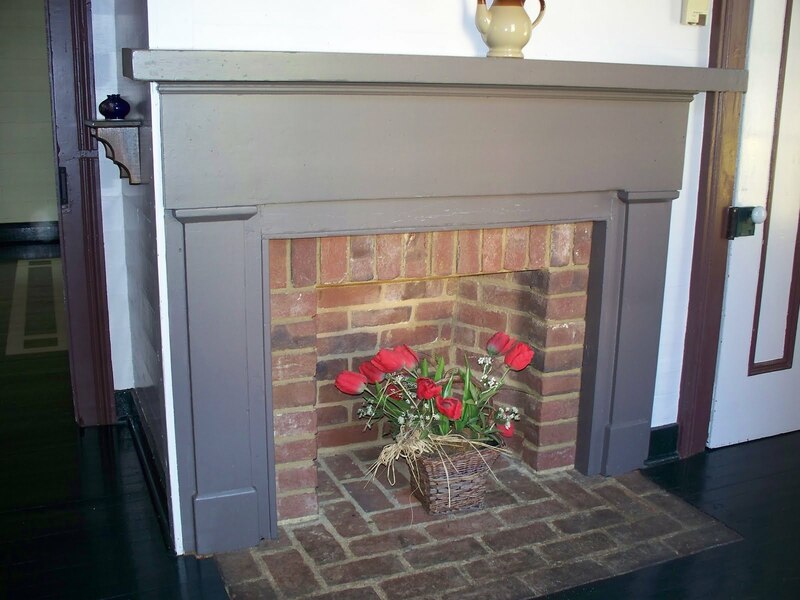 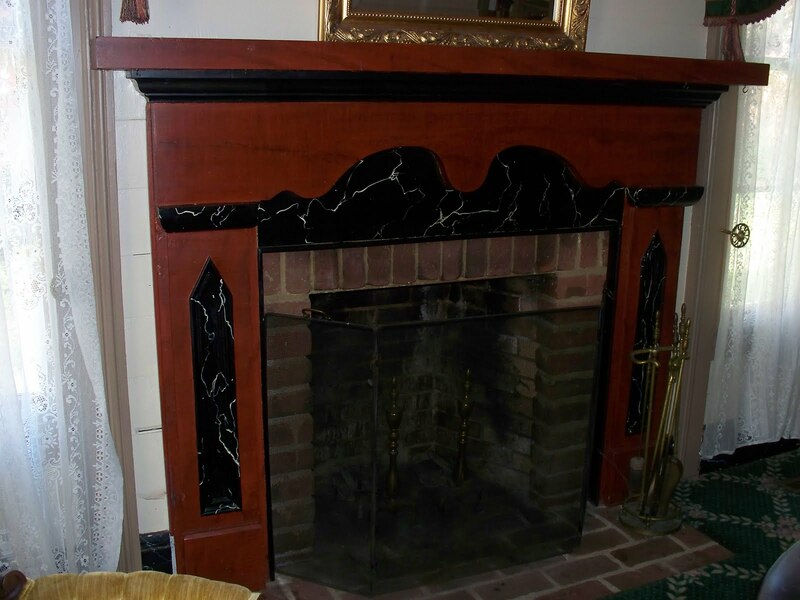 Every room features a fireplace. 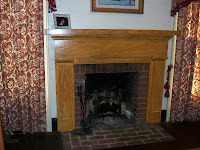 The master suites fireplace has been outfitted with gas logs. 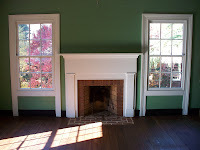 Upon relocation to its current site, the deteriorated masonry elements were lost. 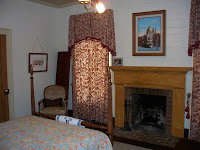 All of the fireplaces and chimneys were rebuilt in 1985 and are in working order. 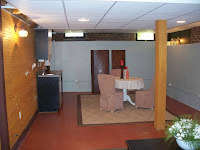 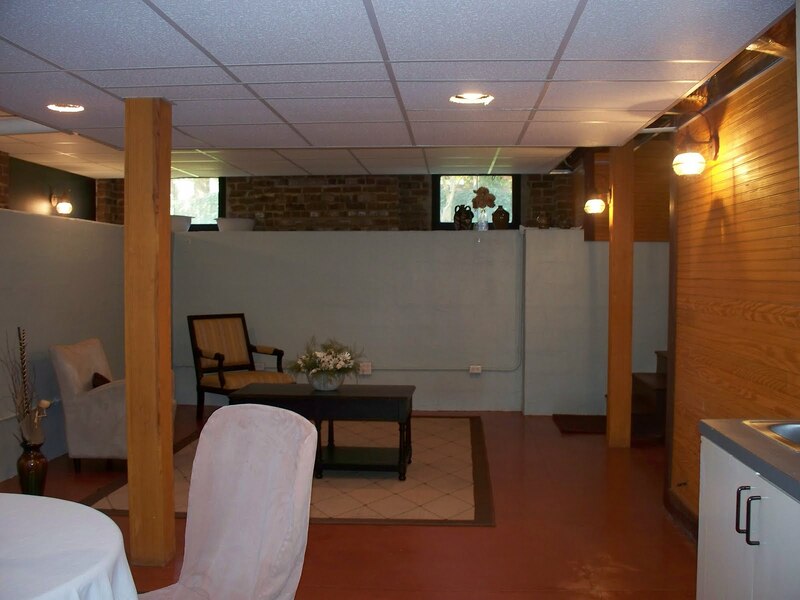 In 2002, a 800 square foot living space was added under the existing house and includes a large family room, full bath, laundry room and fourth bedroom which could easily be used as an office or artist studio. 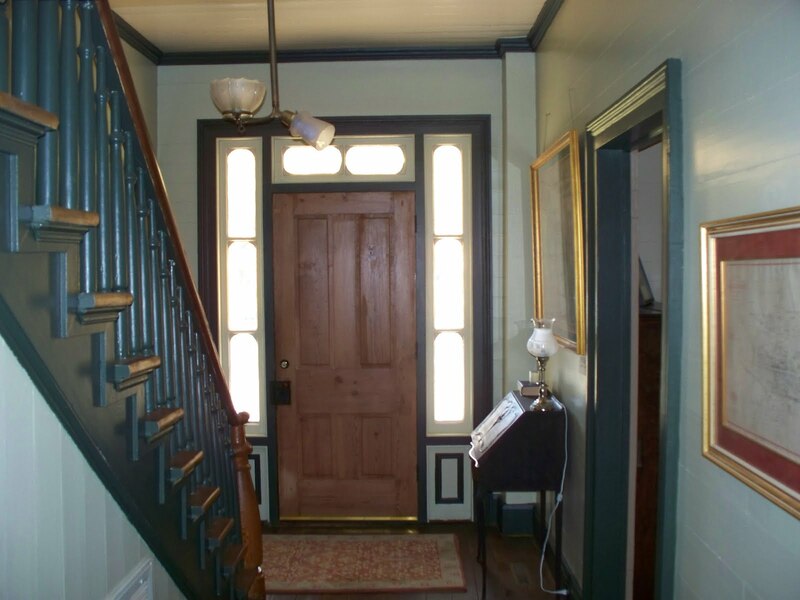 Enter at the front door from a sunny, rocking-chair front porch. 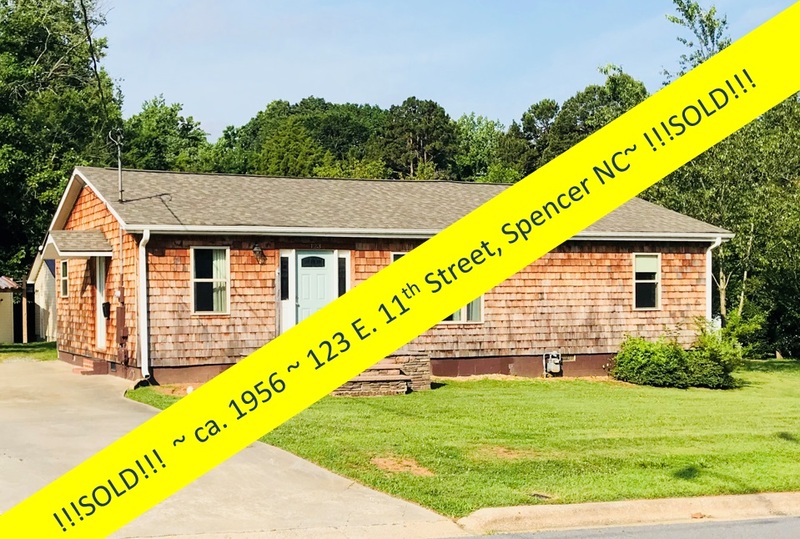 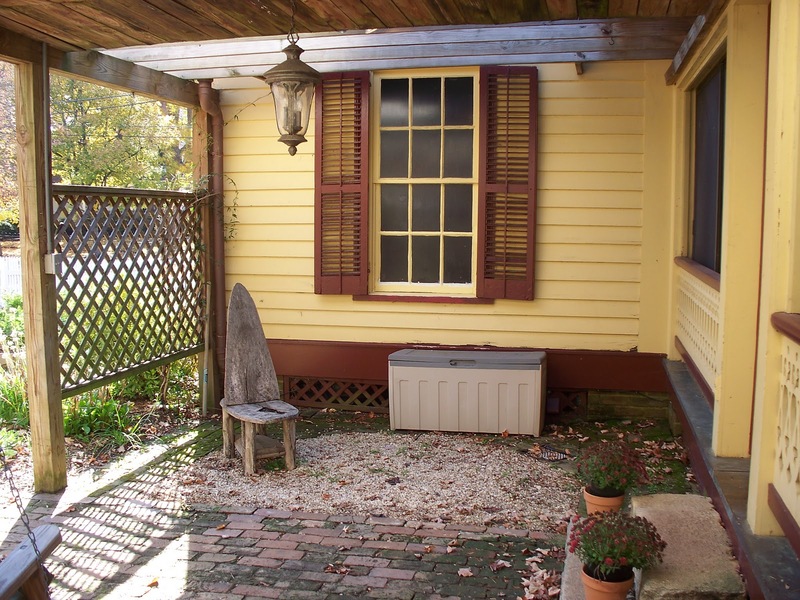 To reach the home’s large, picket~fenced, nearly ½ acre yard, exit through a charming enclosed side porch to the patio, covered with an attractive arbor. 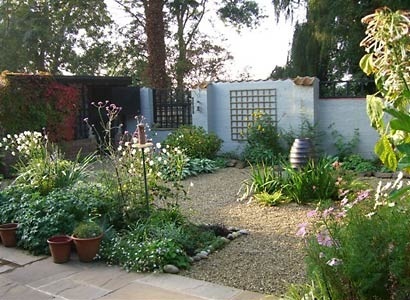 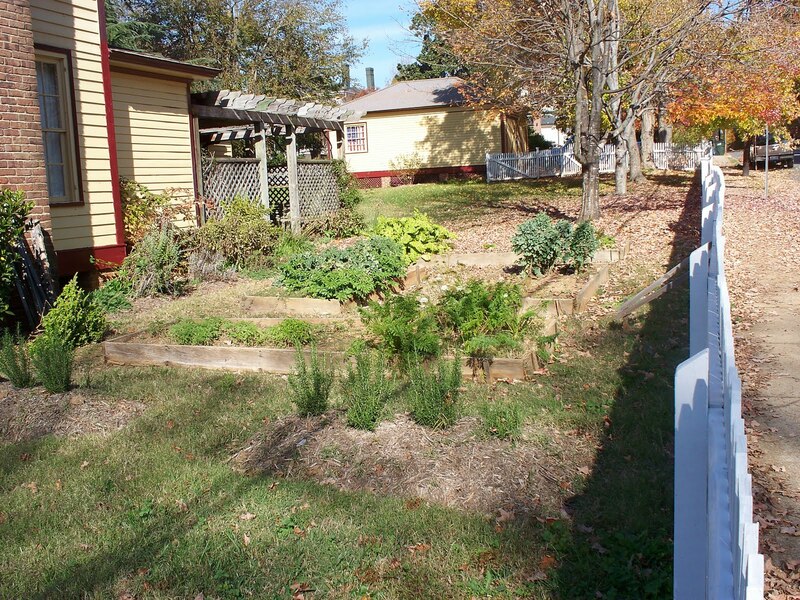 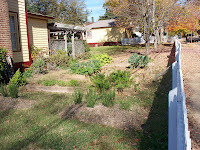 A cook’s garden sits astride the house not far from the kitchen with raised beds filled with herbs. 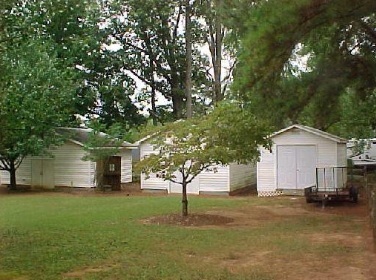 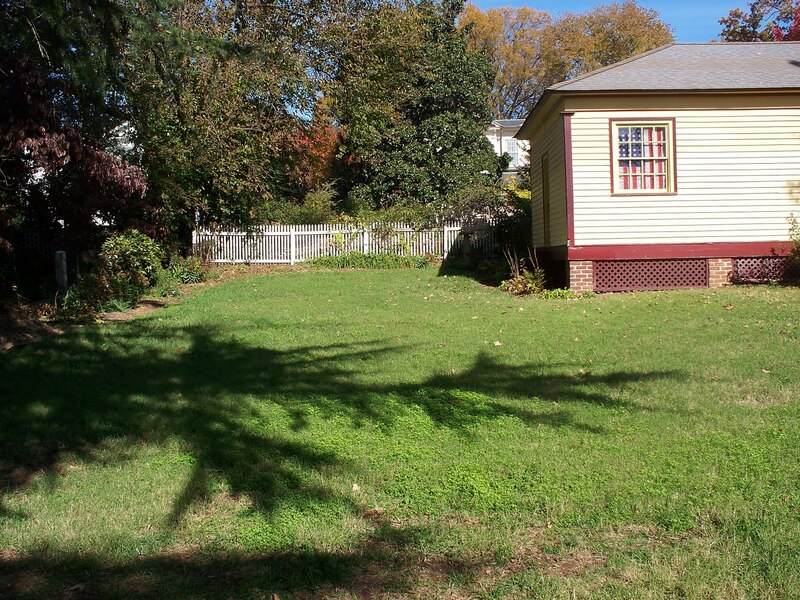 A detached two-car garage sits to the rear of the property. 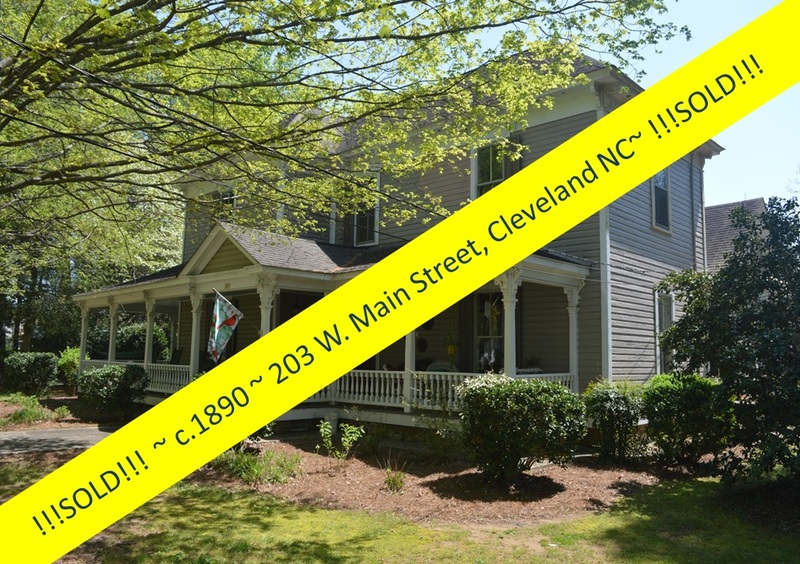 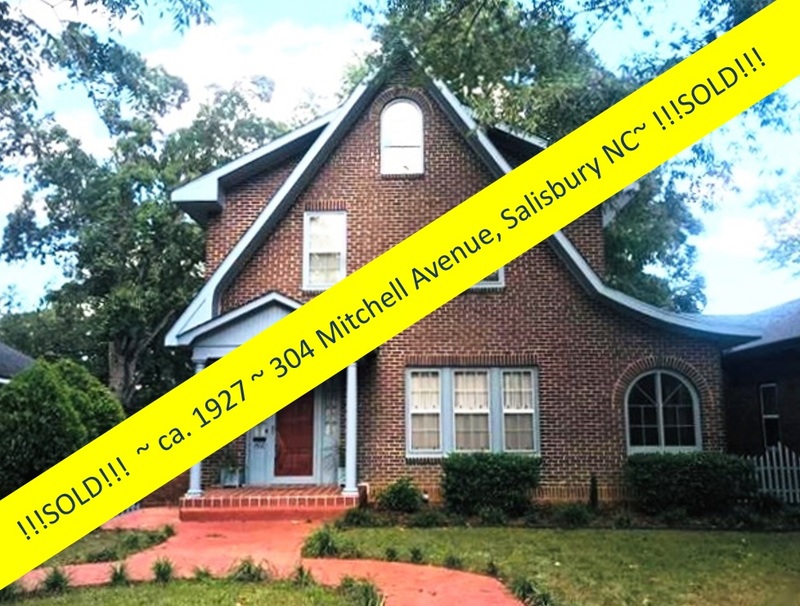 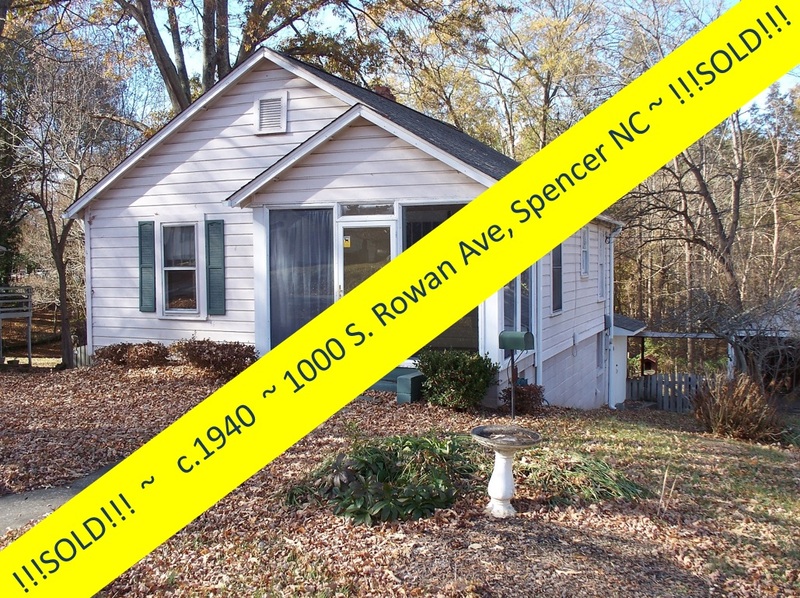 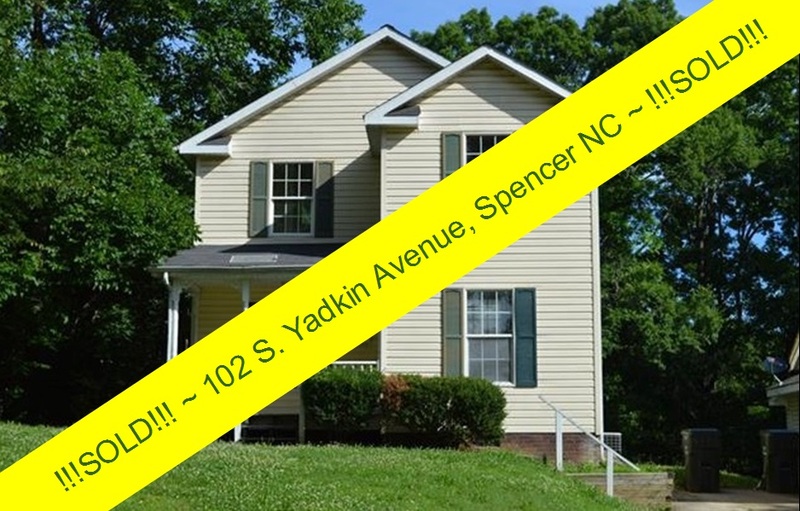 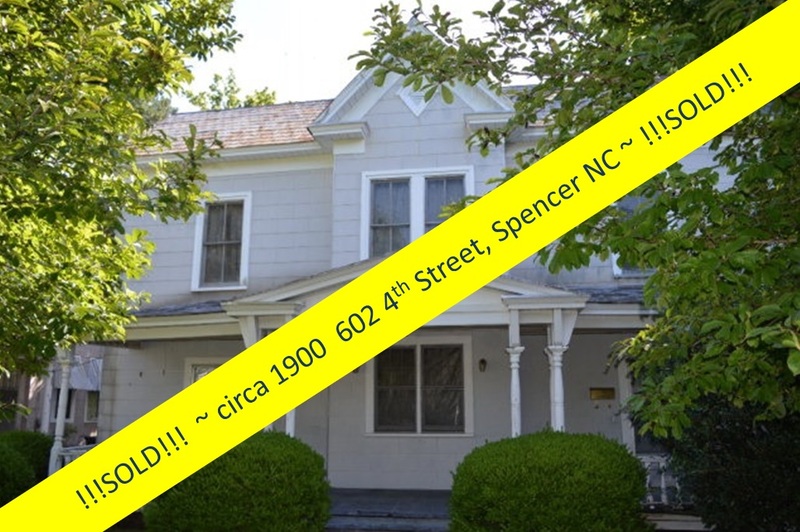 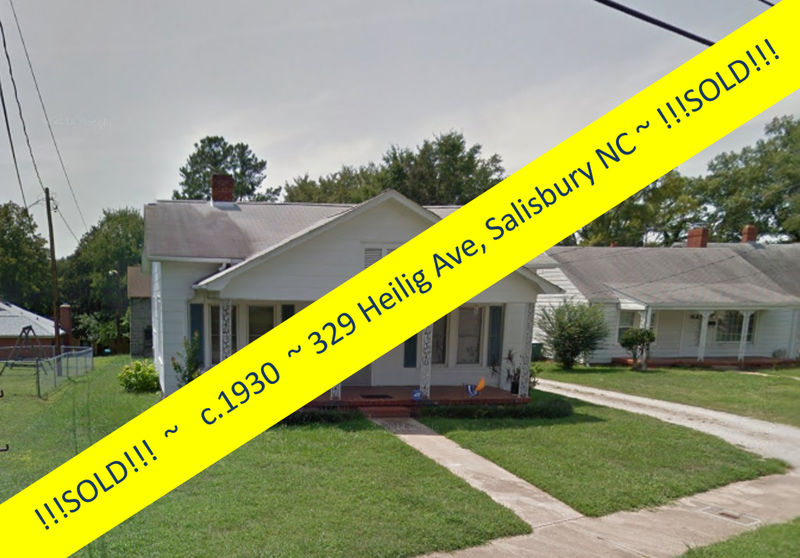 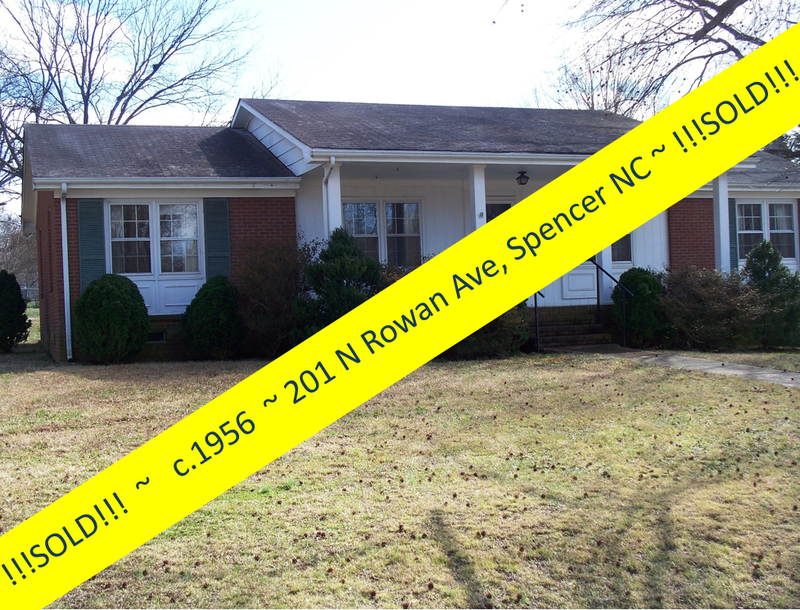 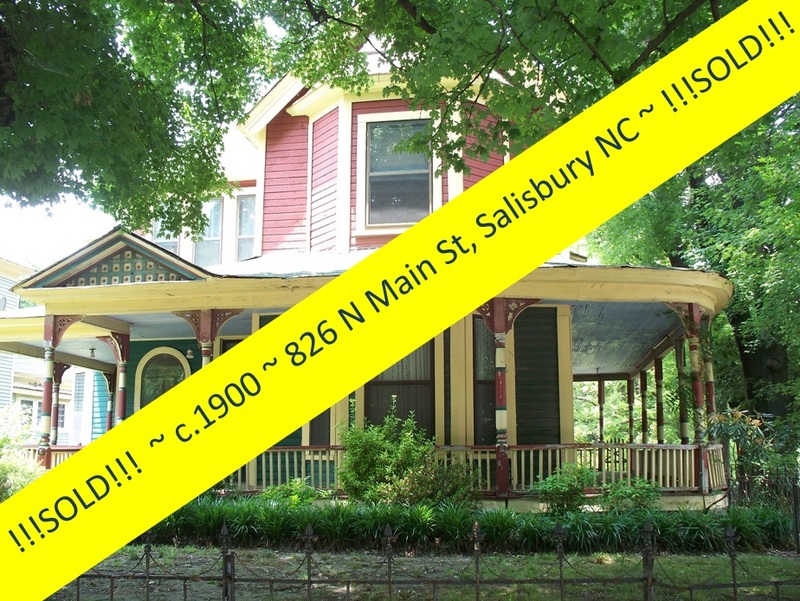 The Thomas T. Maxwell house is now centrally located in the heart of the prestigious West Square Historic District in Salisbury NC. 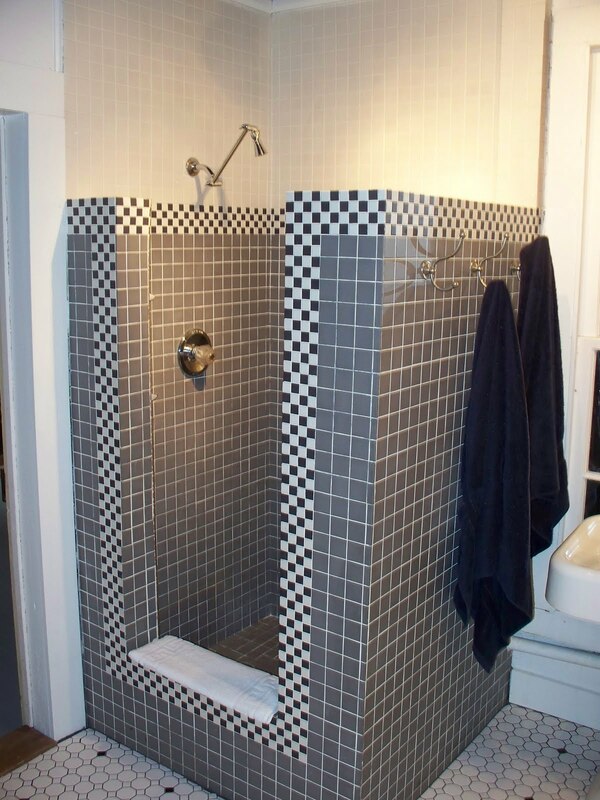 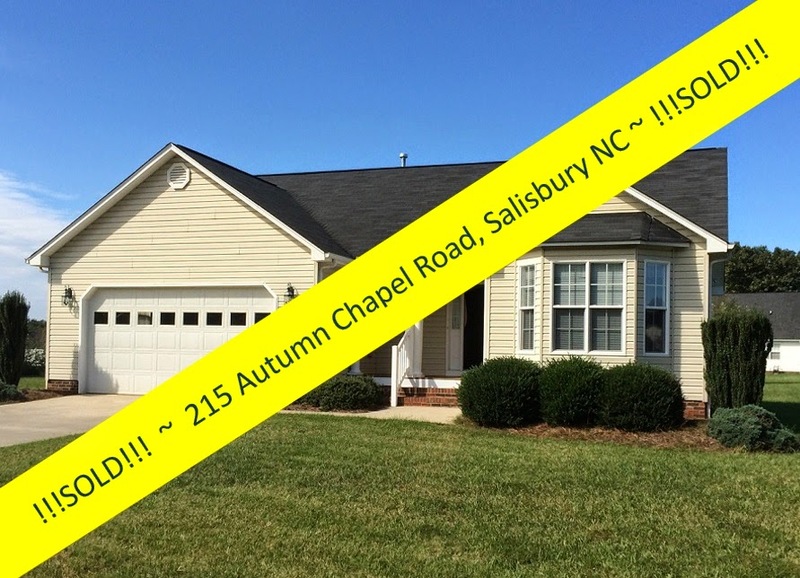 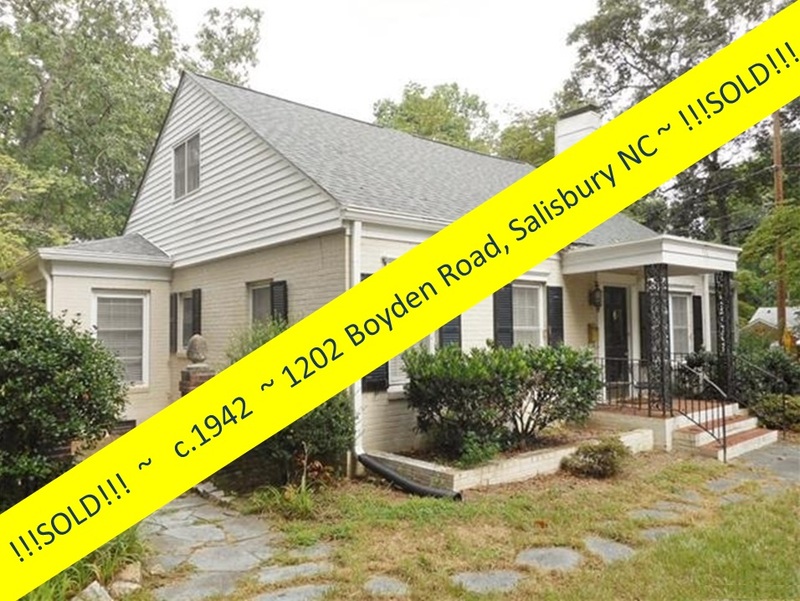 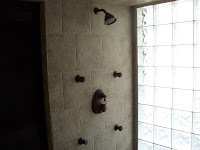 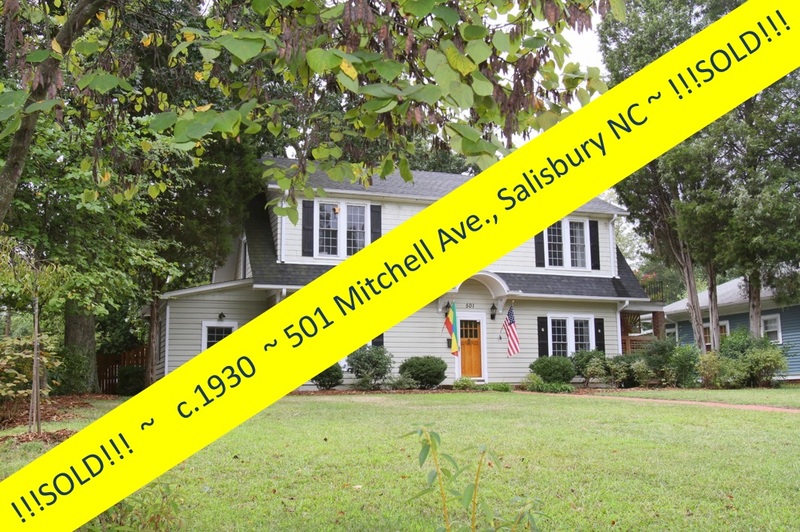 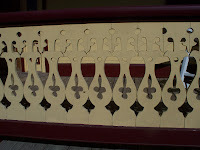 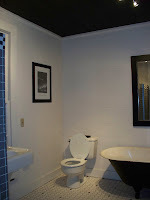 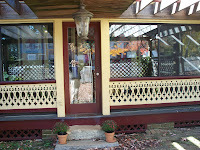 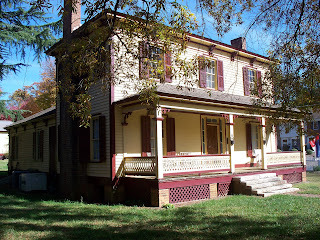 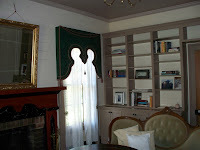 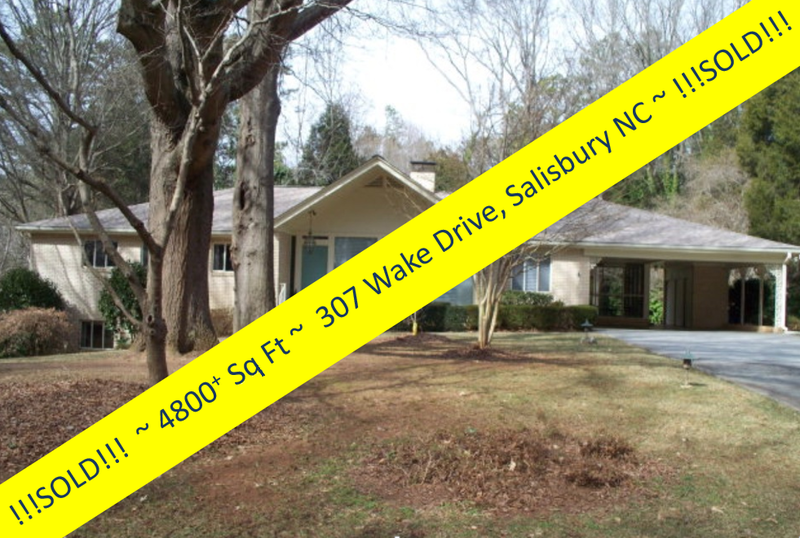 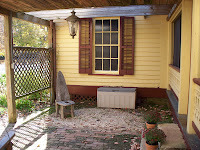 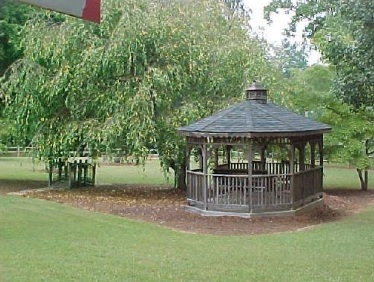 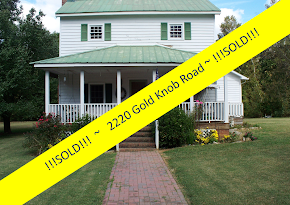 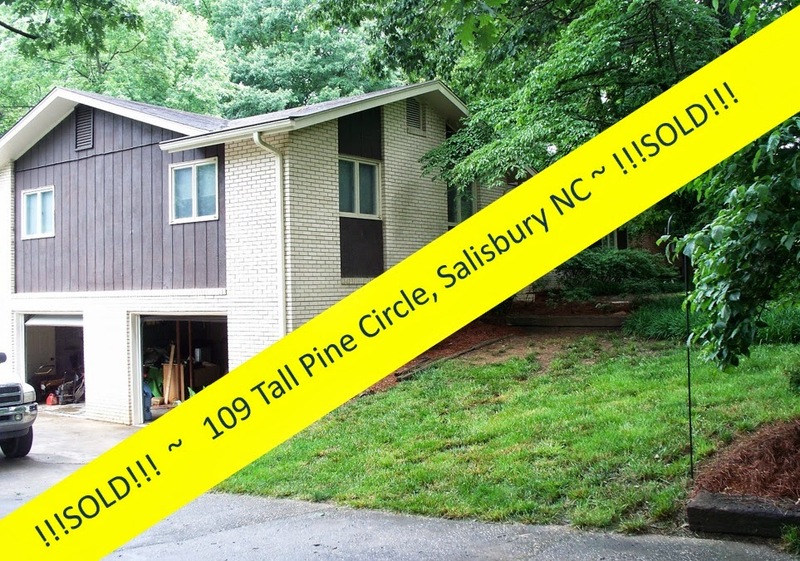 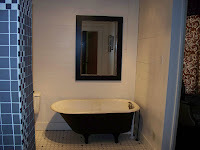 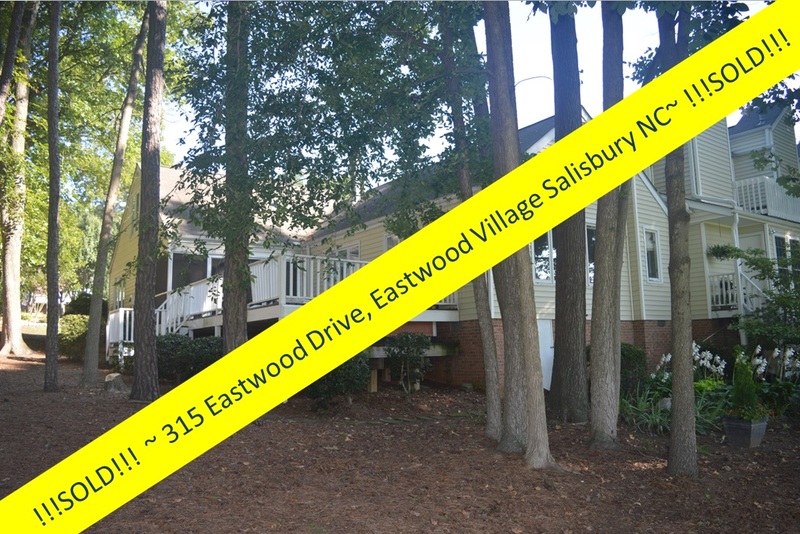 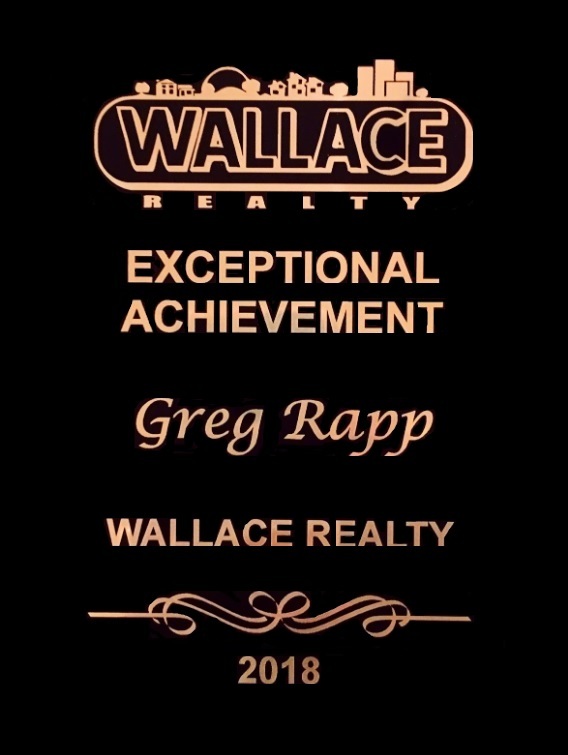 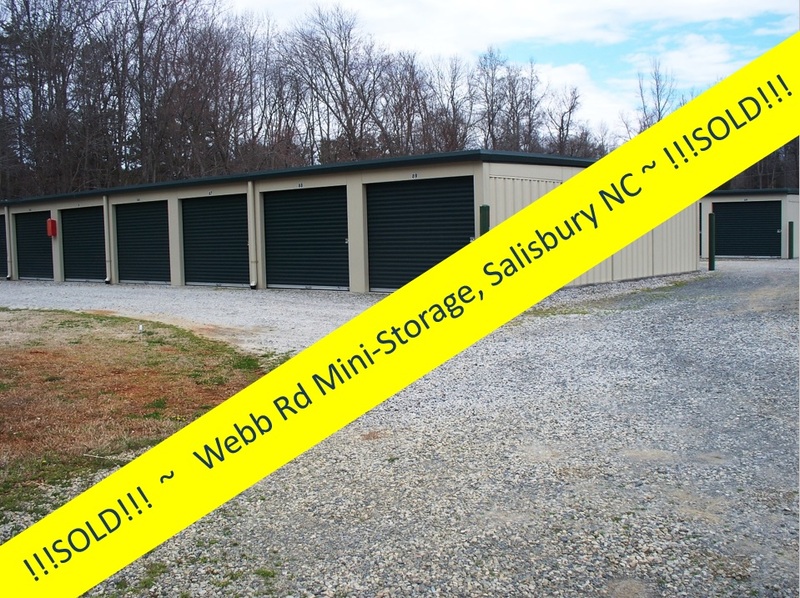 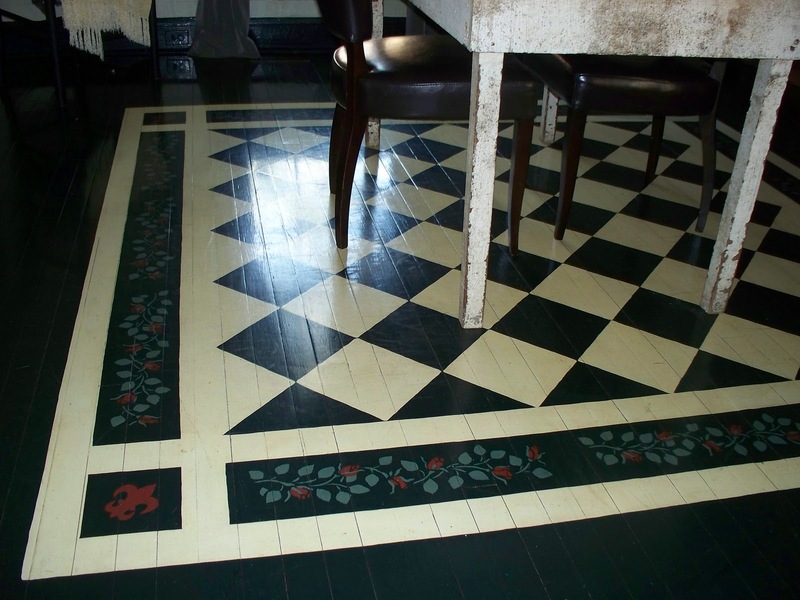 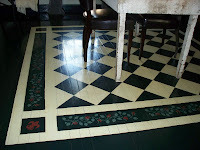 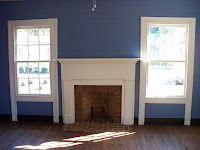 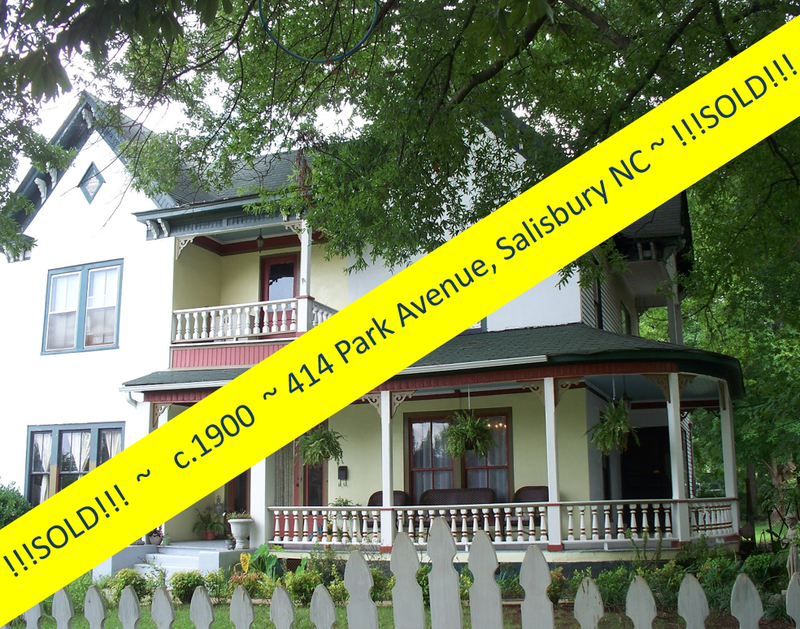 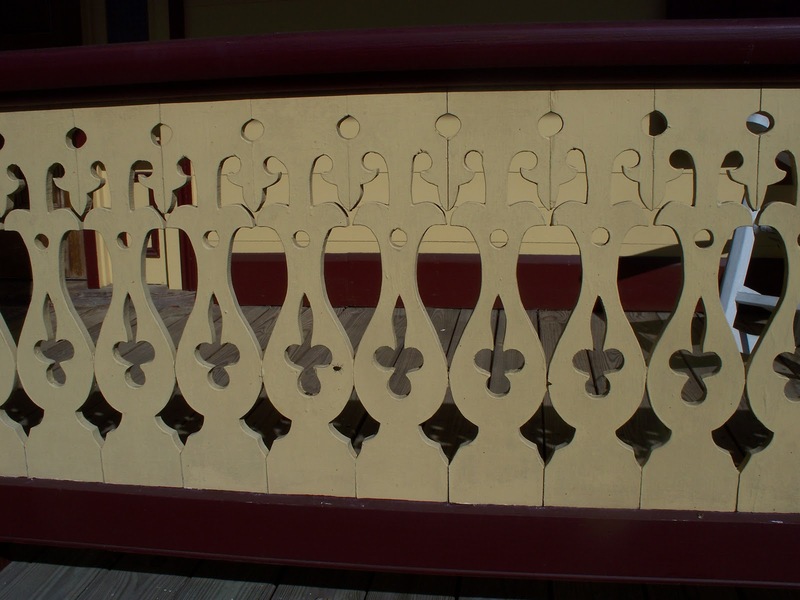 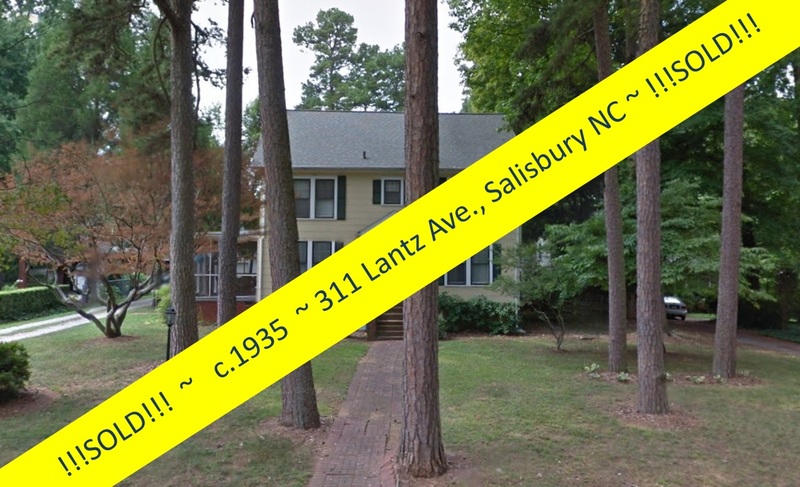 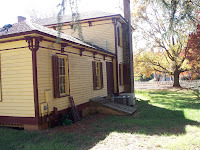 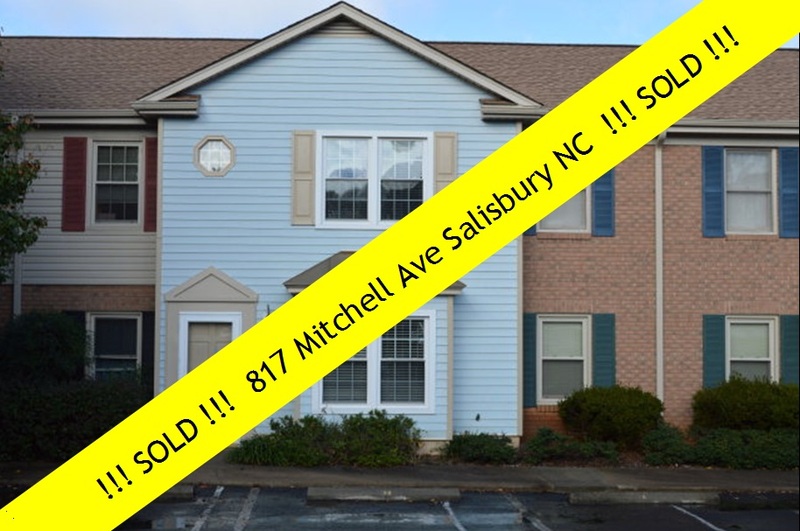 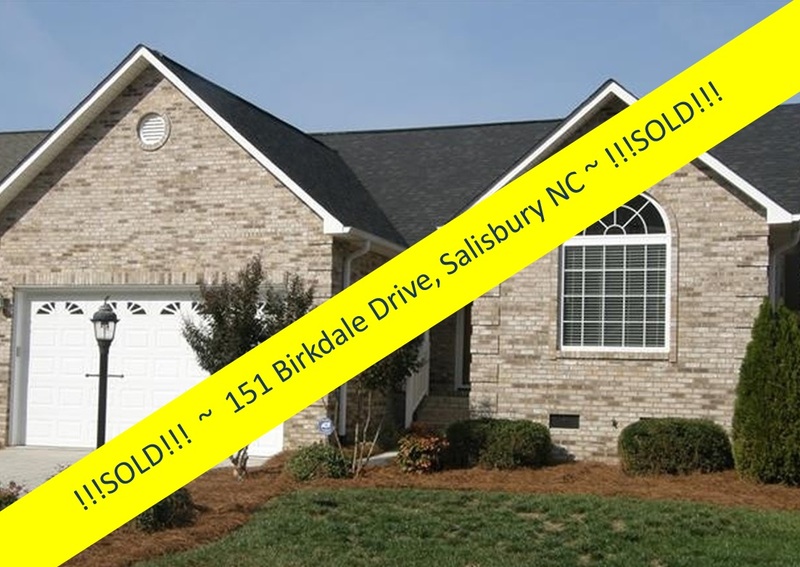 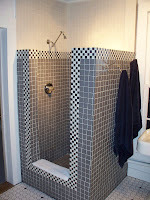 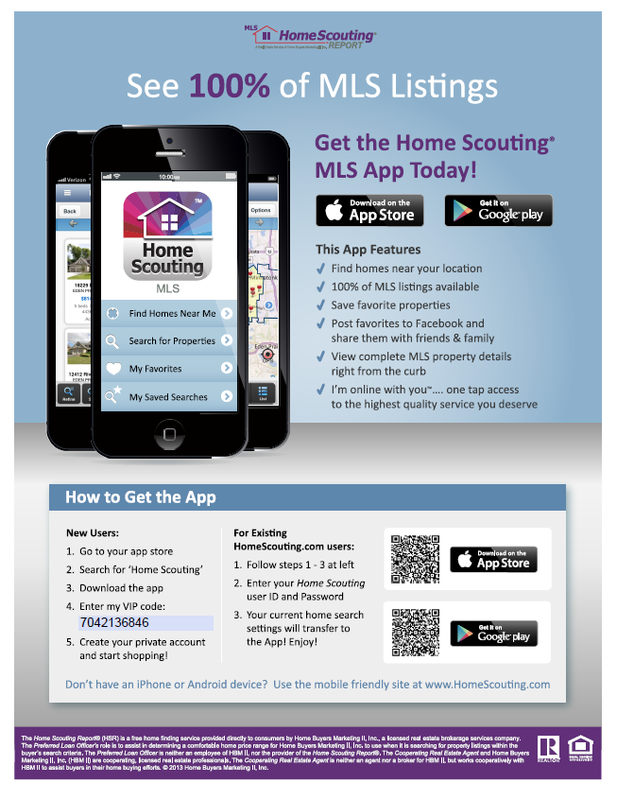 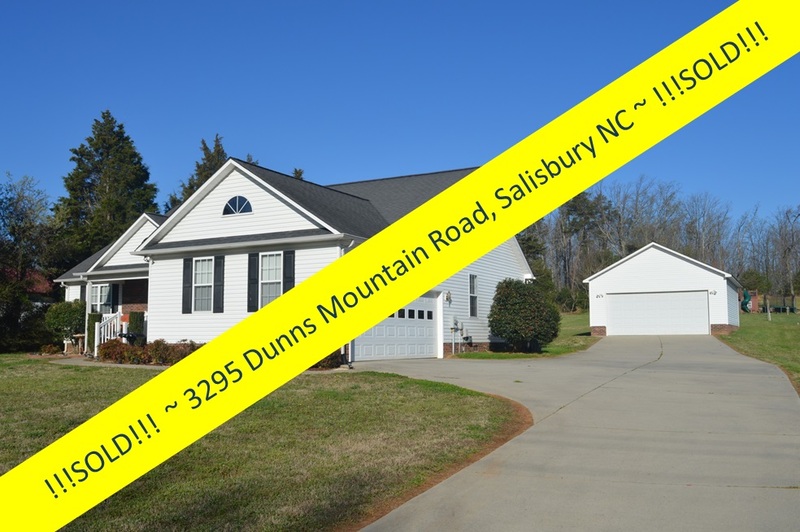 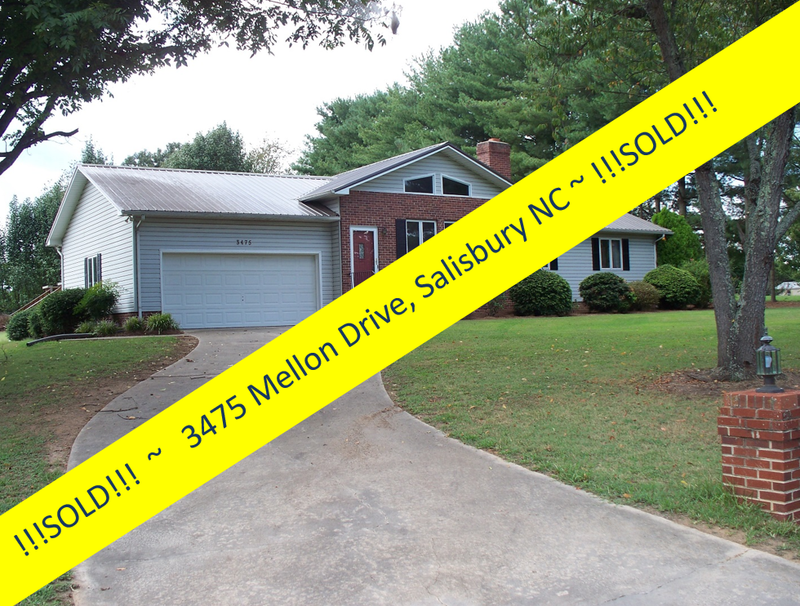 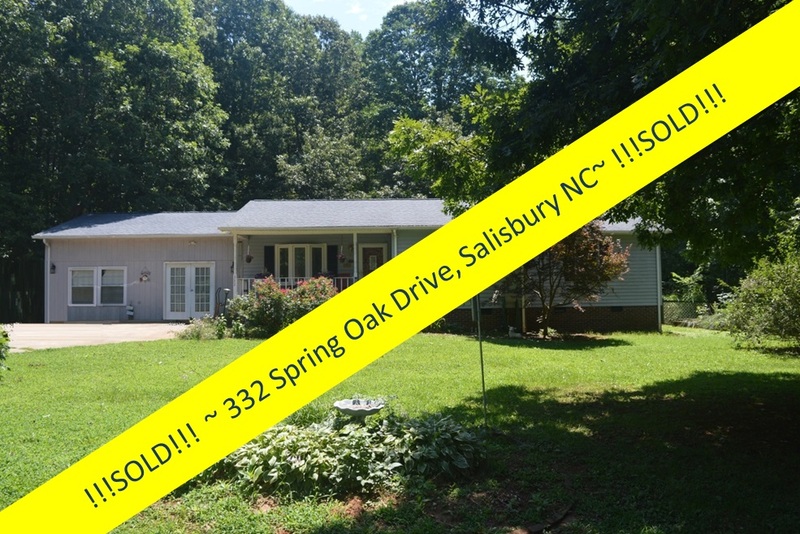 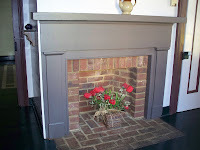 It was featured in the Historic Salisbury Foundation’s 2011 October Tour of historic homes. This annual tour, centered in the West Square Historic District near downtown, is one of the oldest and largest fall house tours in the South. 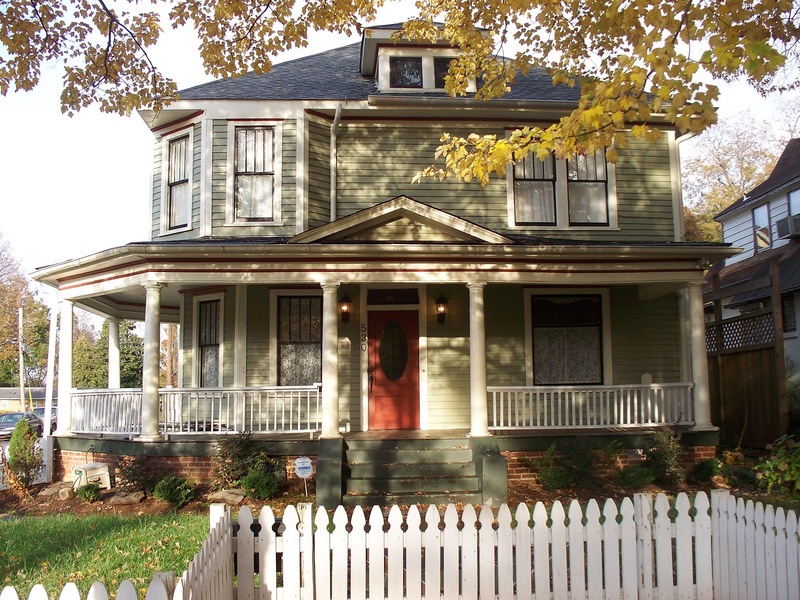 Over 35 years, the tour has featured about 135 historic structures, mostly private homes. 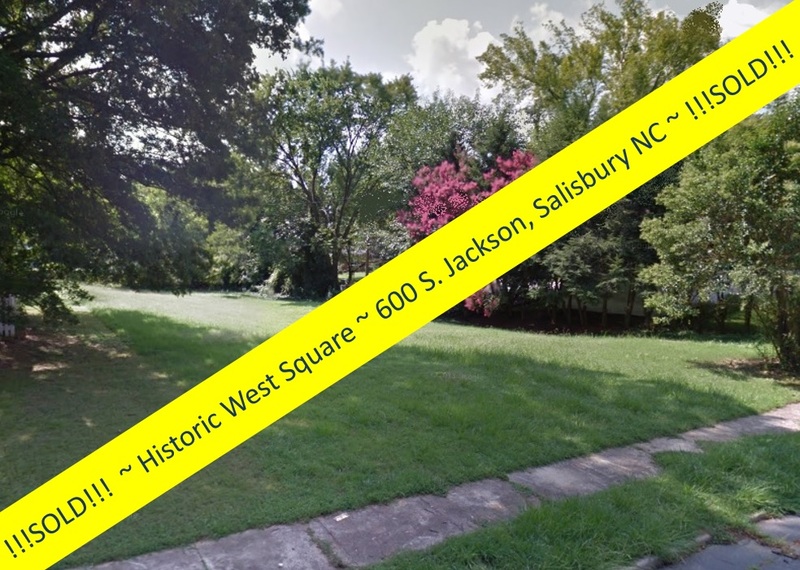 In1975, the City of Salisbury adopted the West Square District as its first local historic district, and set forth special zoning and architectural guidelines to help preserve it. 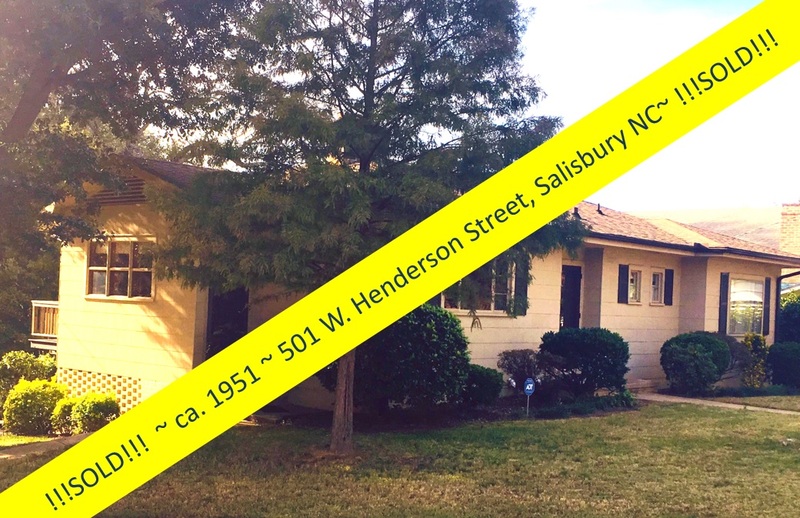 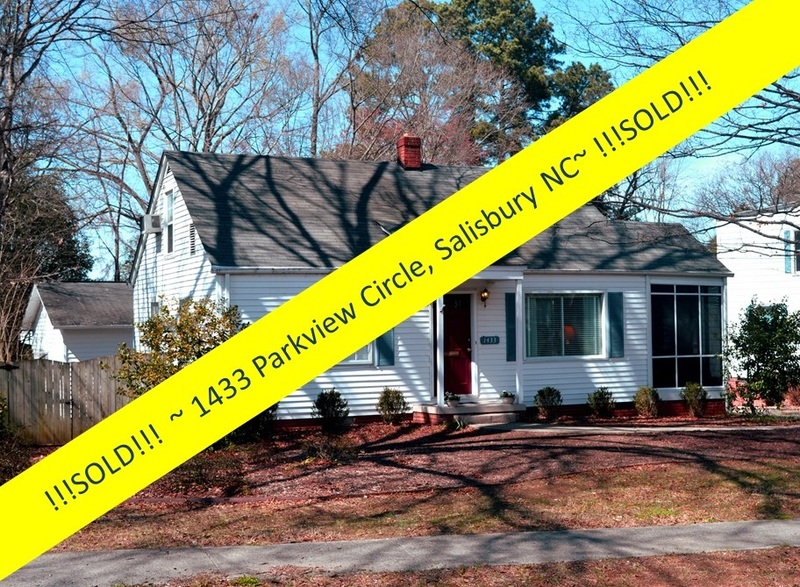 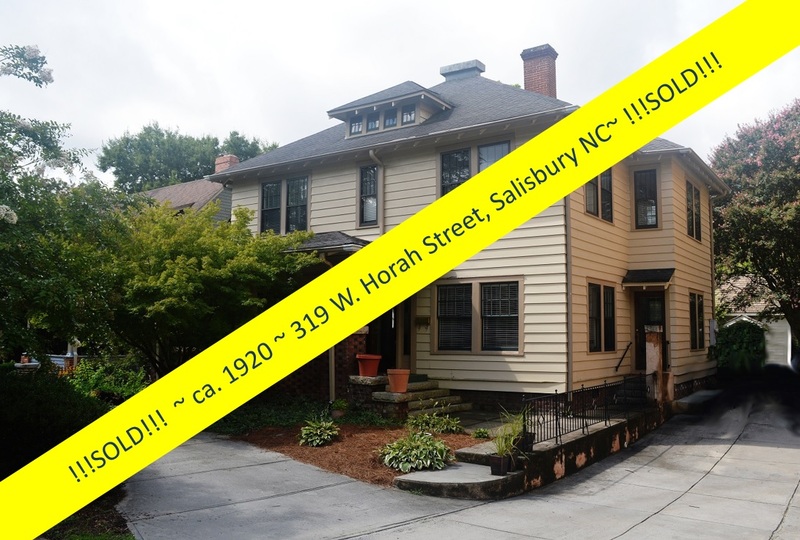 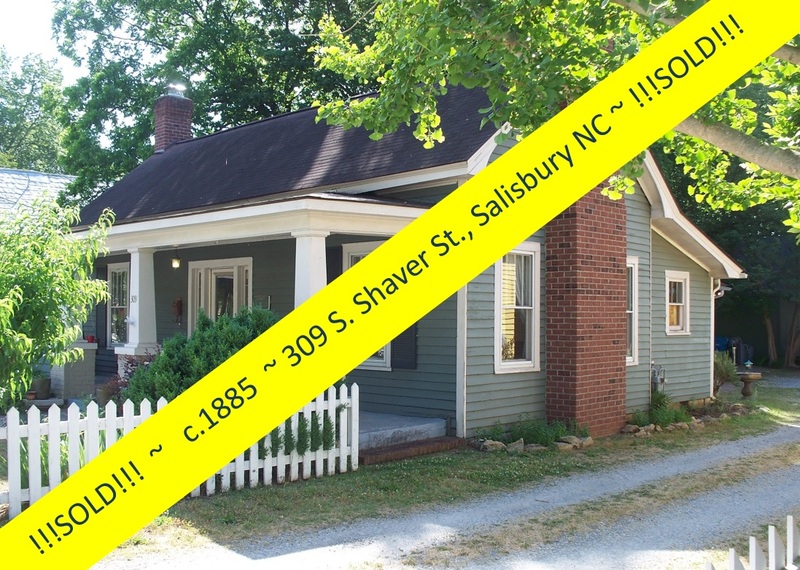 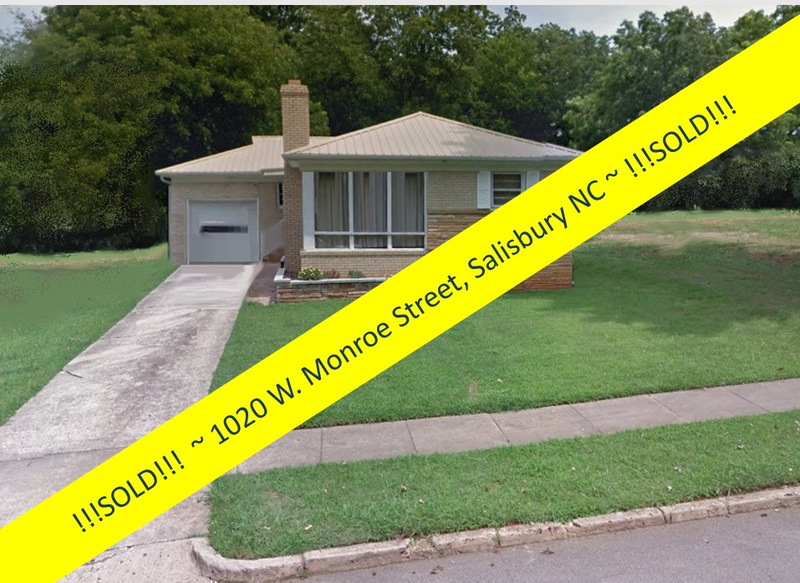 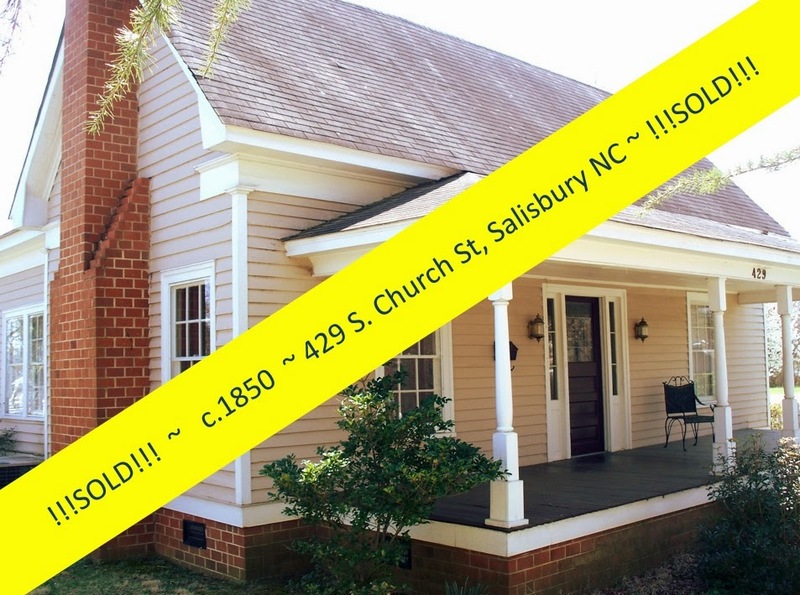 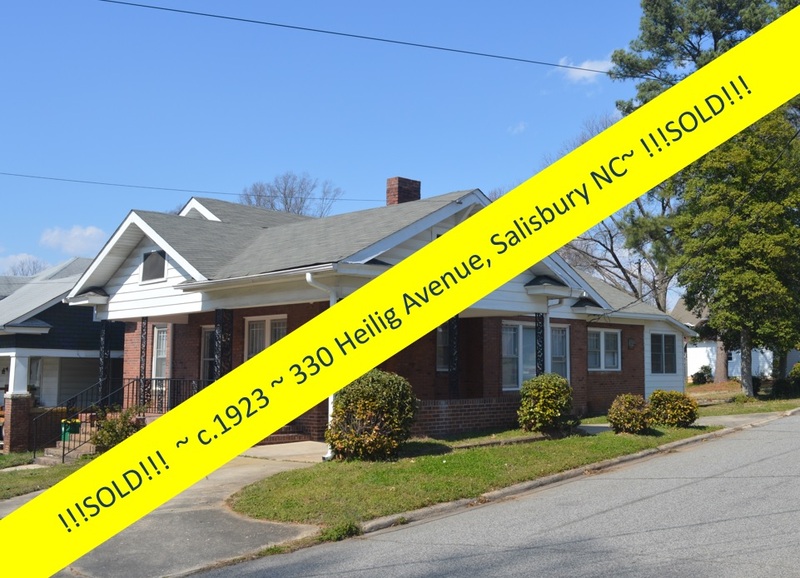 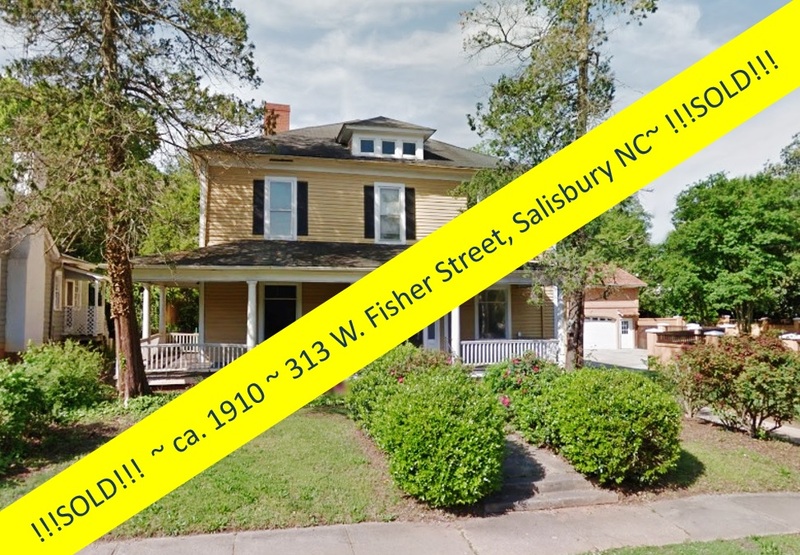 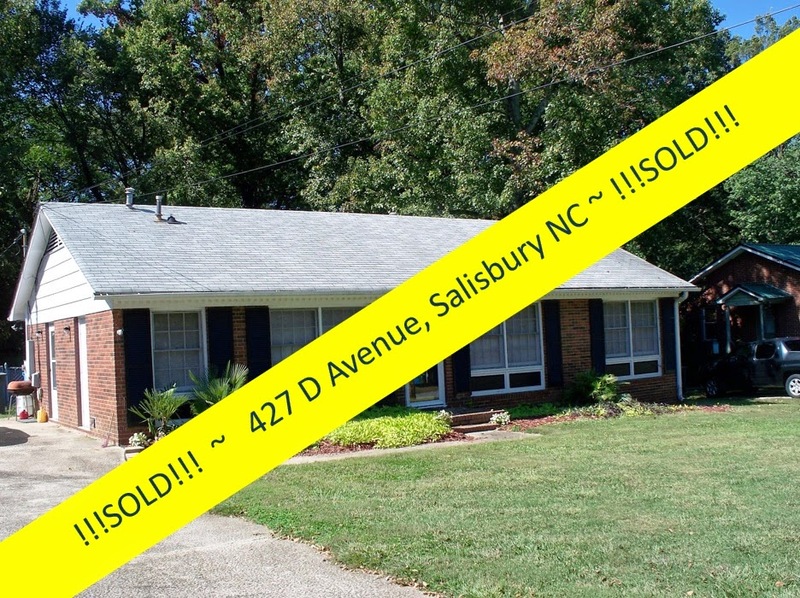 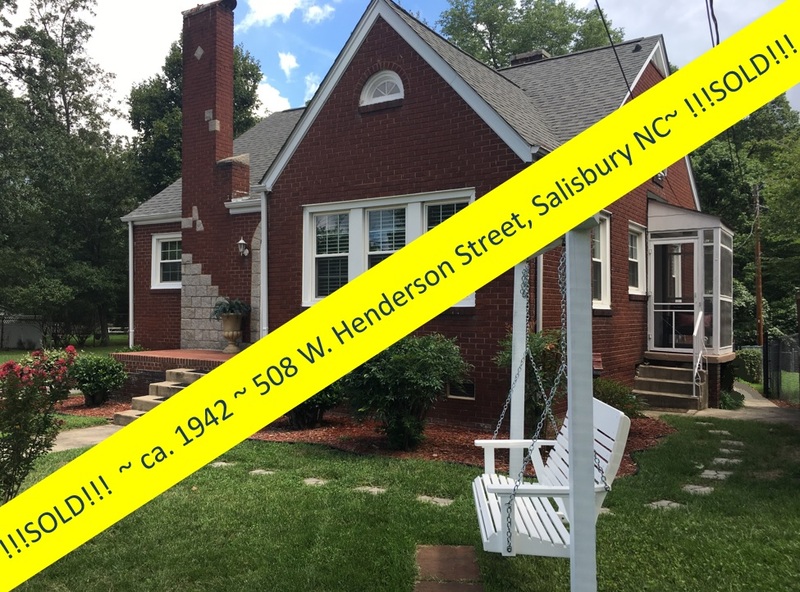 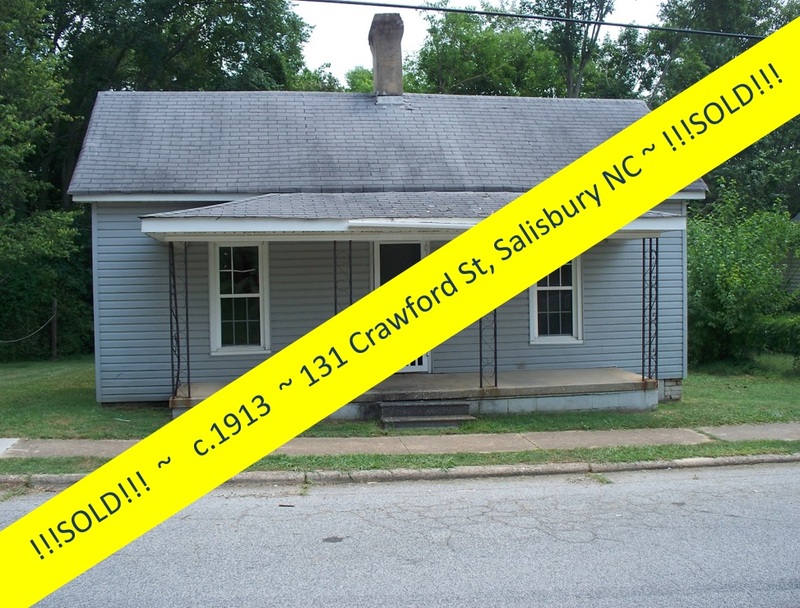 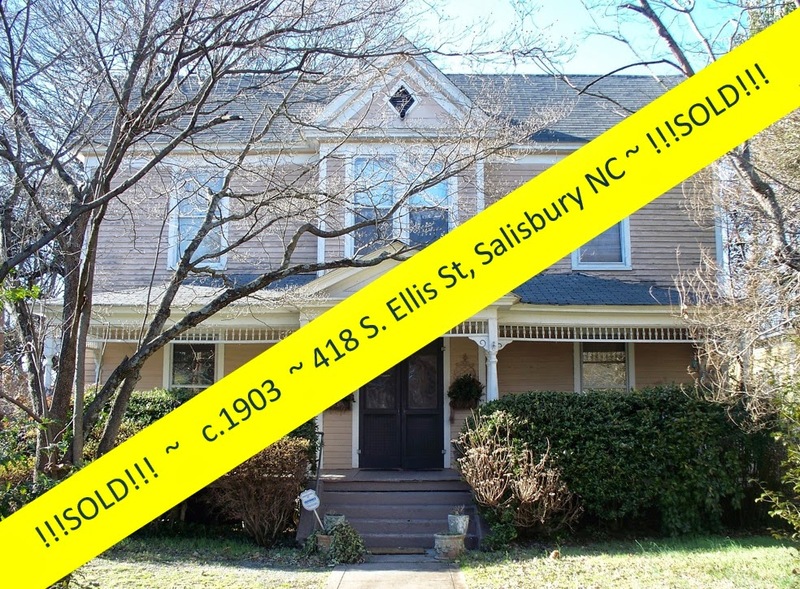 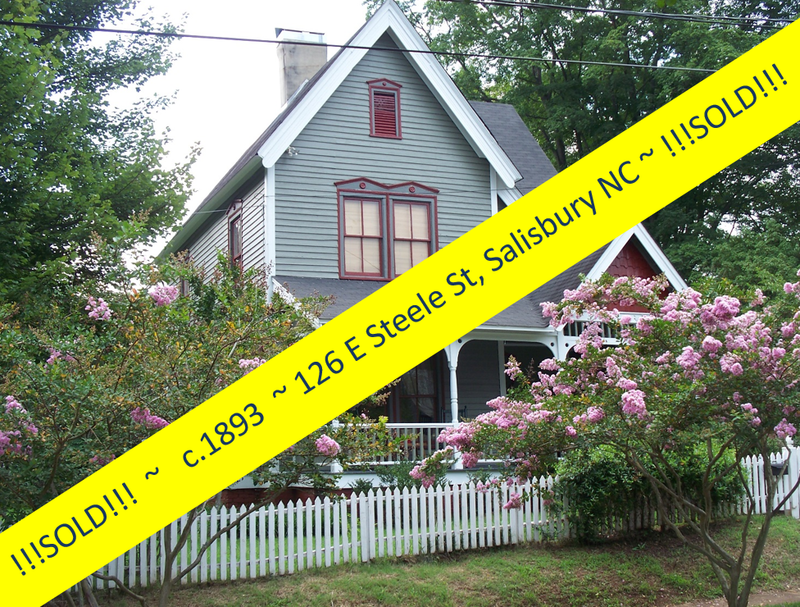 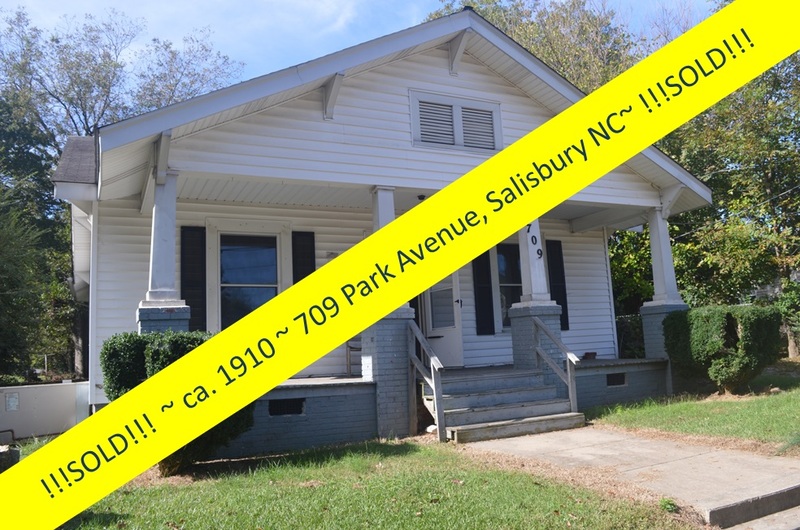 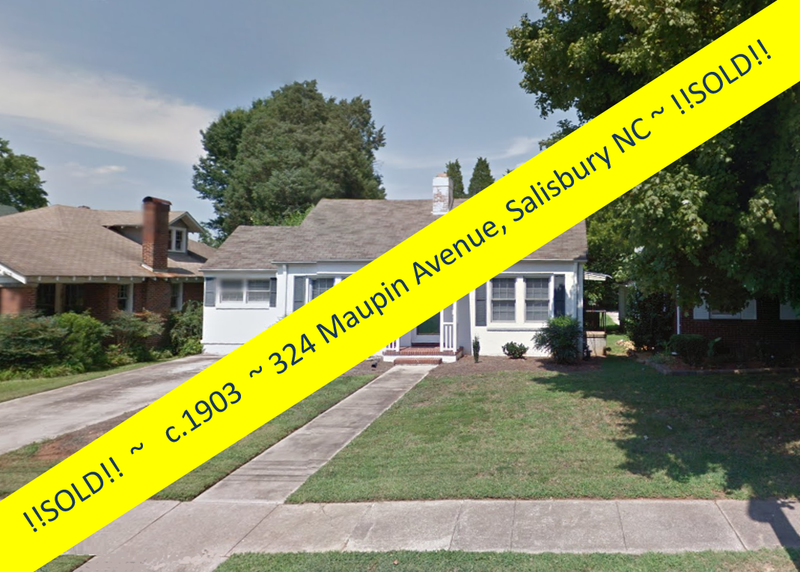 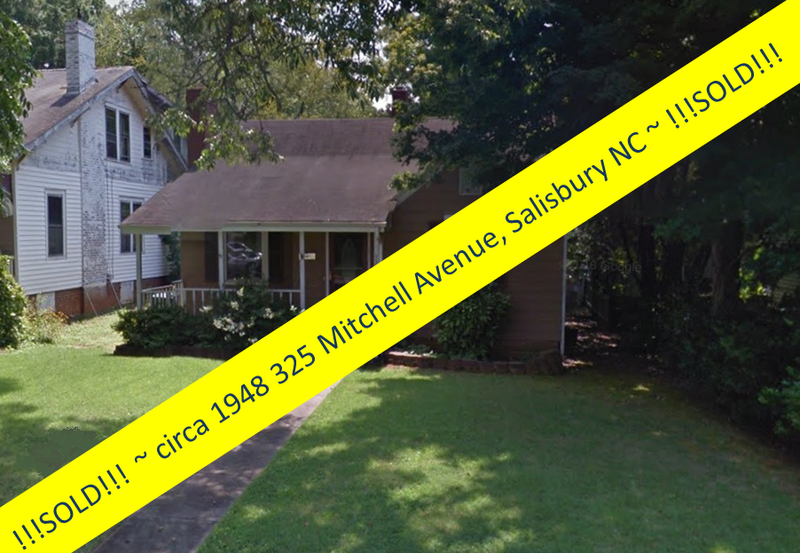 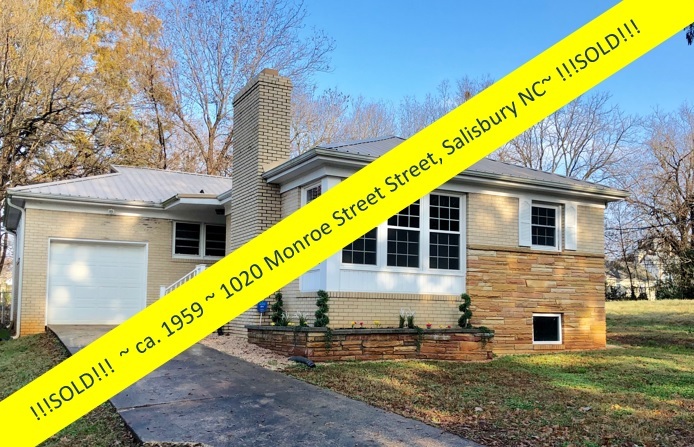 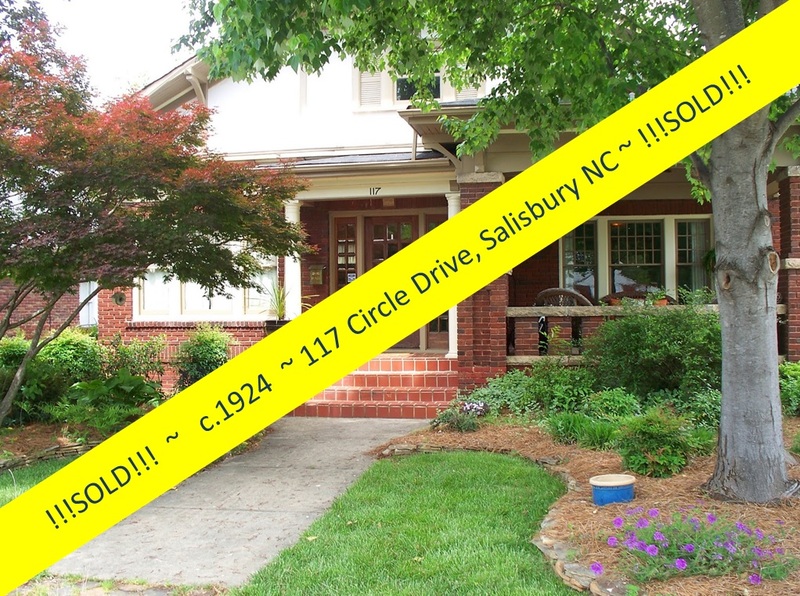 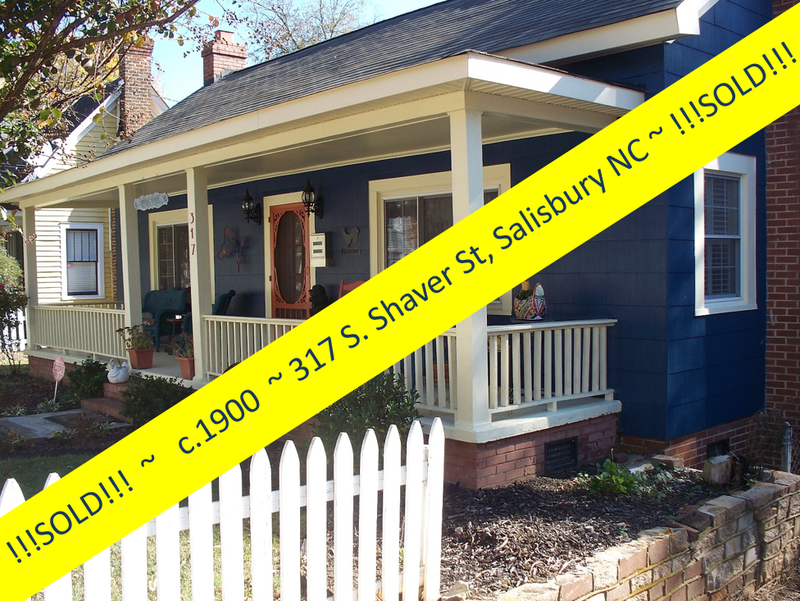 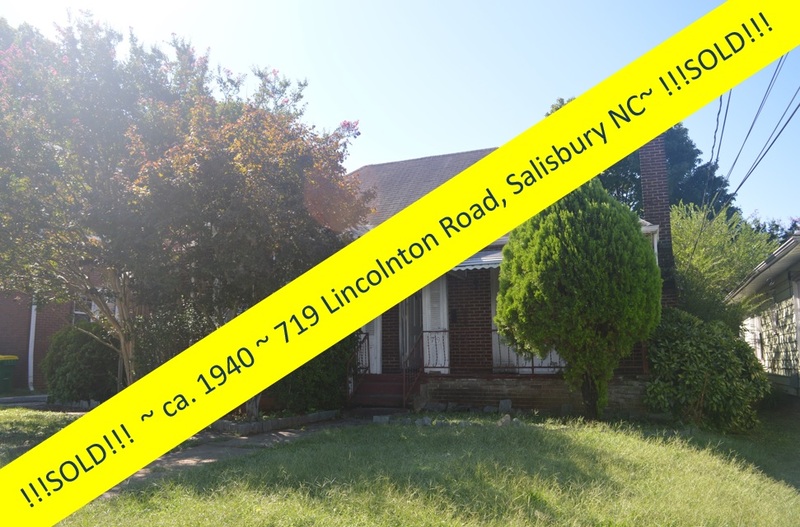 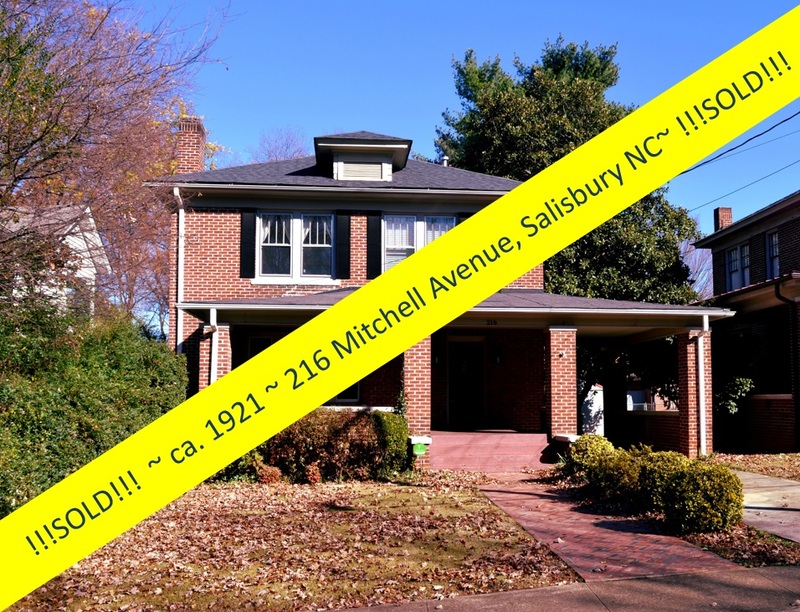 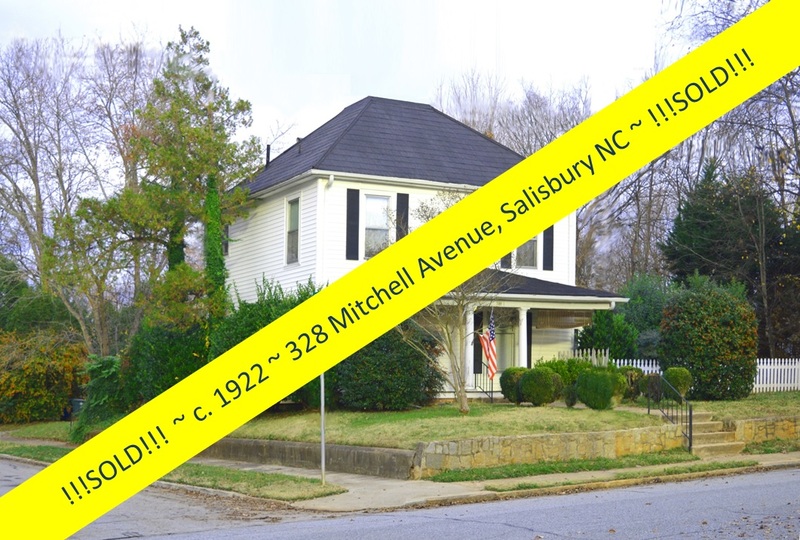 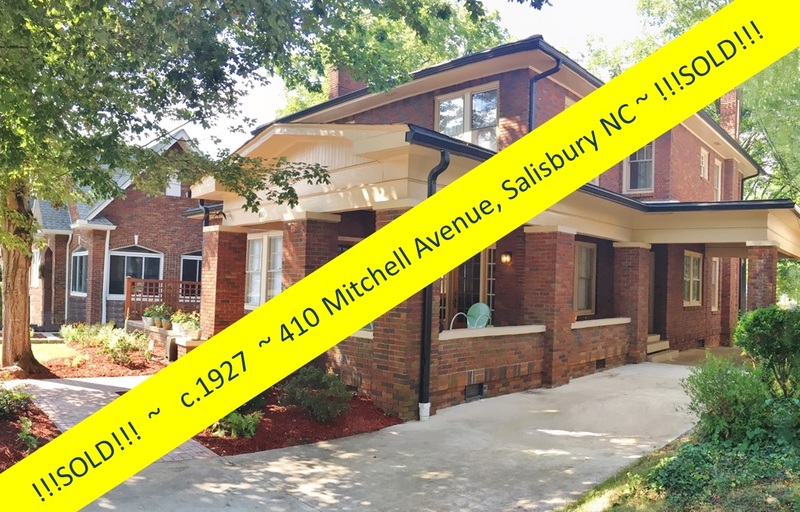 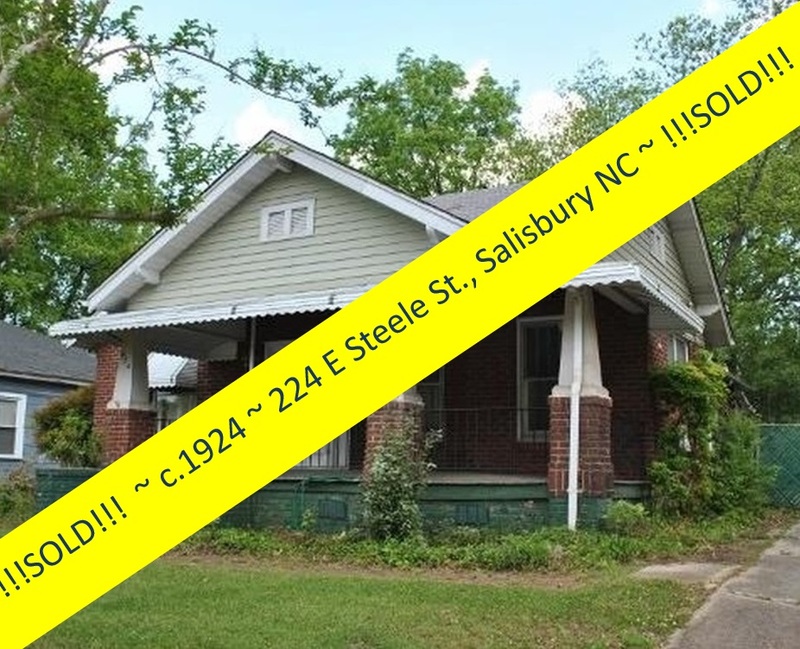 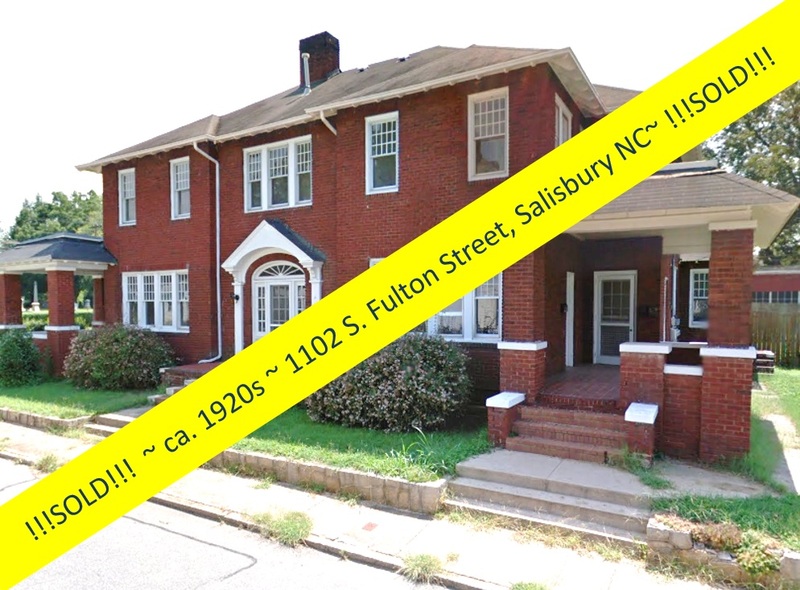 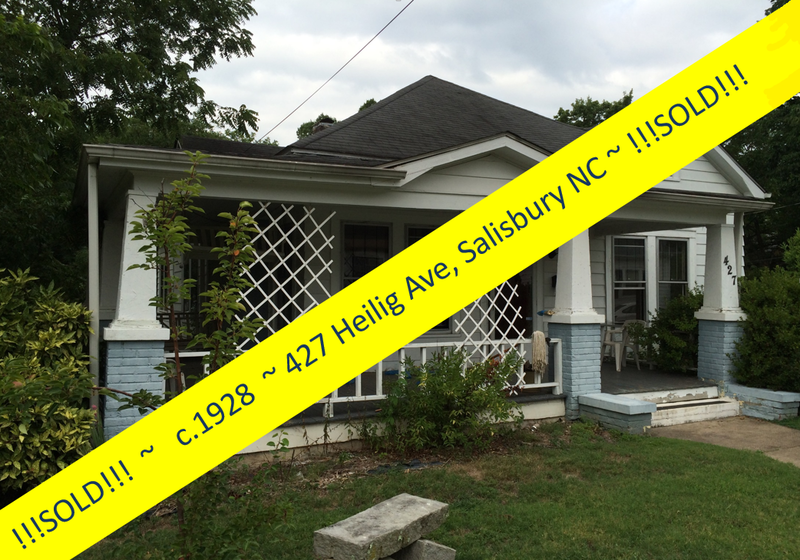 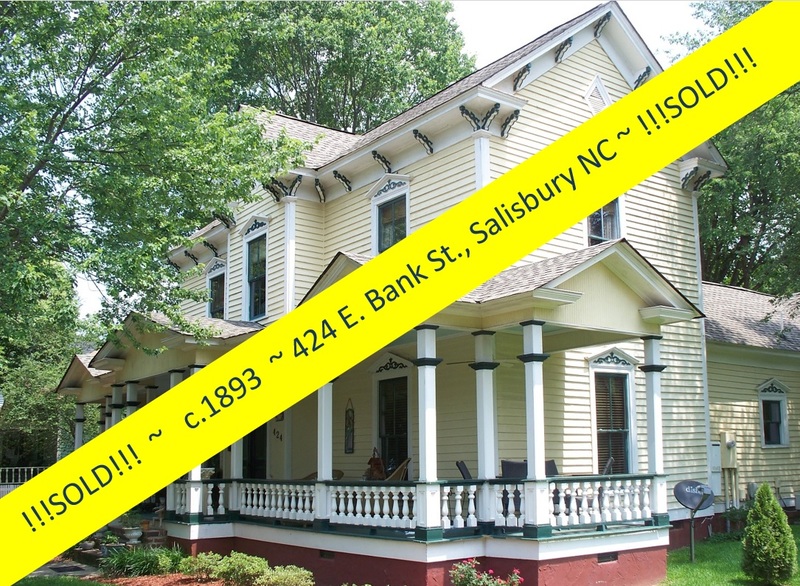 One month later, the Salisbury Historic District was nationally recognized through placement on the National Register of Historic Places. 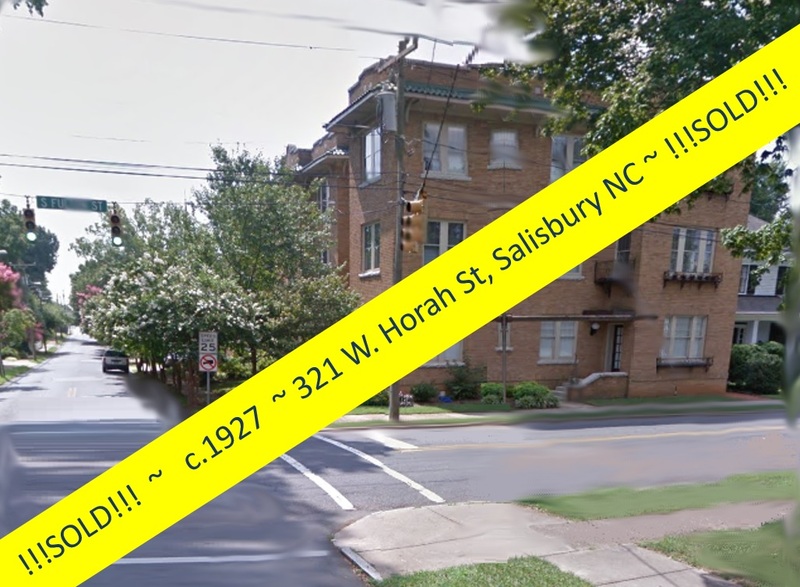 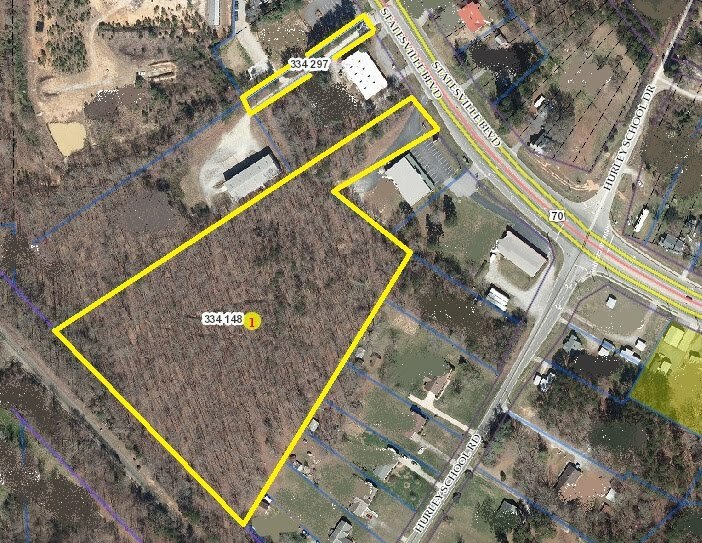 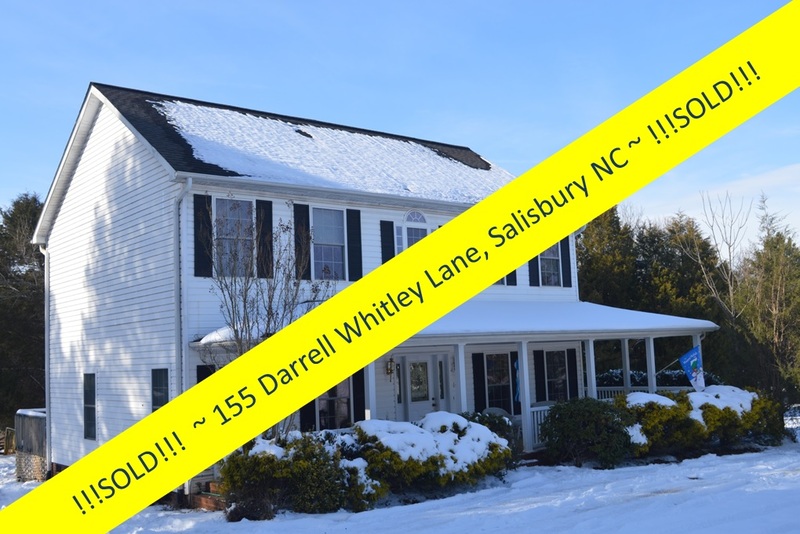 The West Square Historic District encompasses approximately thirty-one blocks, part of the original town plan of Salisbury, laid out into 112 lots surrounding the intersection with what is now Main and Innes Streets, in a rectilinear grid system that remains largely unaltered today. 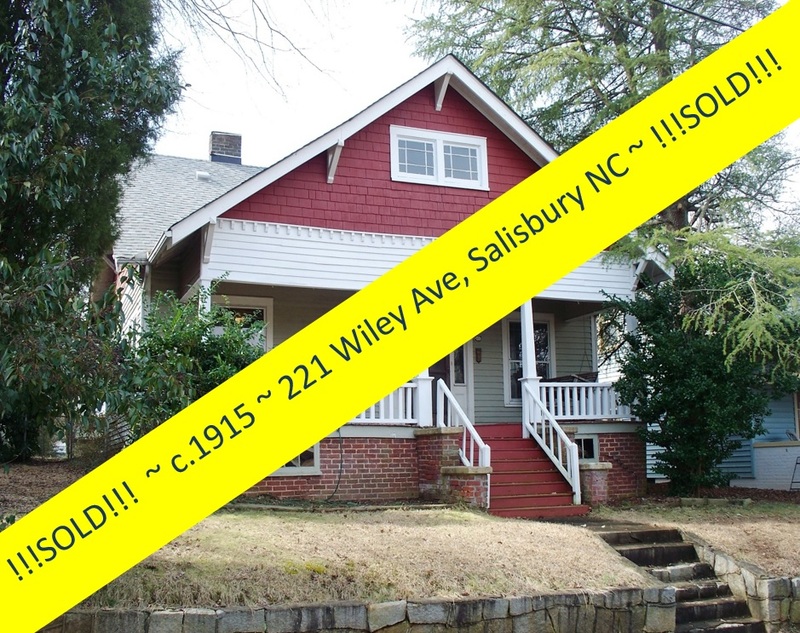 Much of that is included in the existing Salisbury National Historic Register District and West Square Local Historic District. 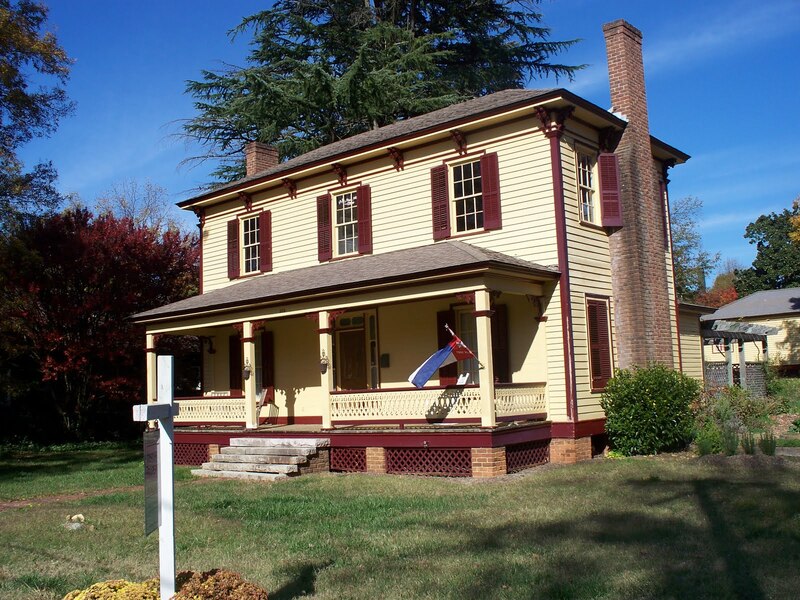 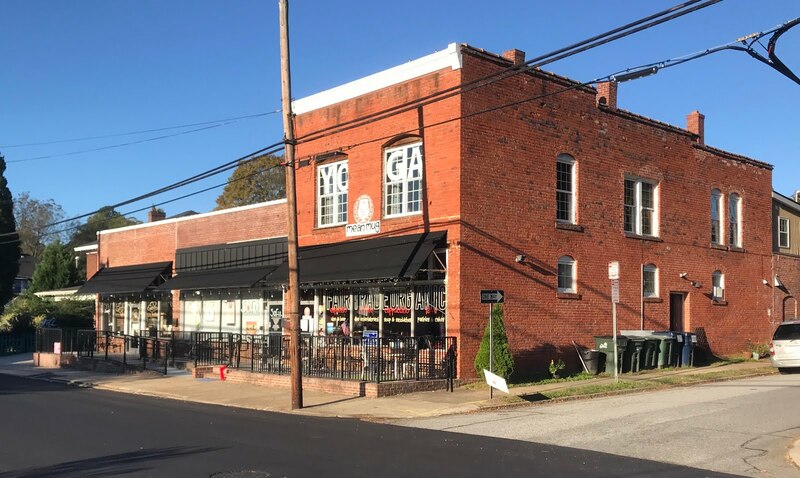 It features a solid, tightly packed collection of buildings dating from the decades following the Civil War up to the second decade of the twentieth century. 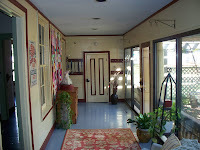 The residential architecture of the West Square is quite remarkable in its wealth of variety and styles. 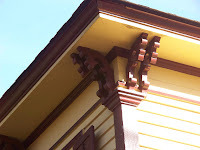 Examples of the Federal-style, Neo-Classical Revival, Greek Revival, Italian Villa, Queen Anne, Spanish Mission, and Jacobean styles can all be found mixed throughout the district. 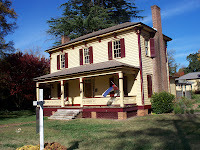 Domestic structures date mostly from the 1820’s to the 1920’s. 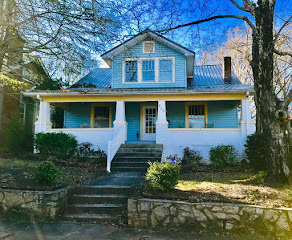 The historically significant Thomas T. Maxwell Greek revival home is located 3 blocks from Main Street’s shopping, dining, galleries, and entertainment, and 1 block from museums. 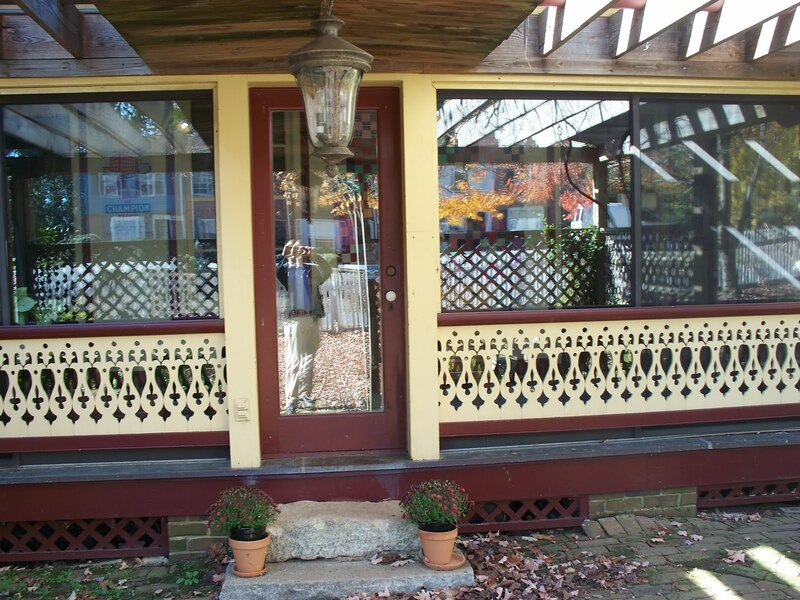 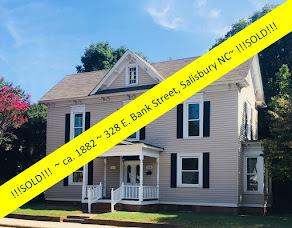 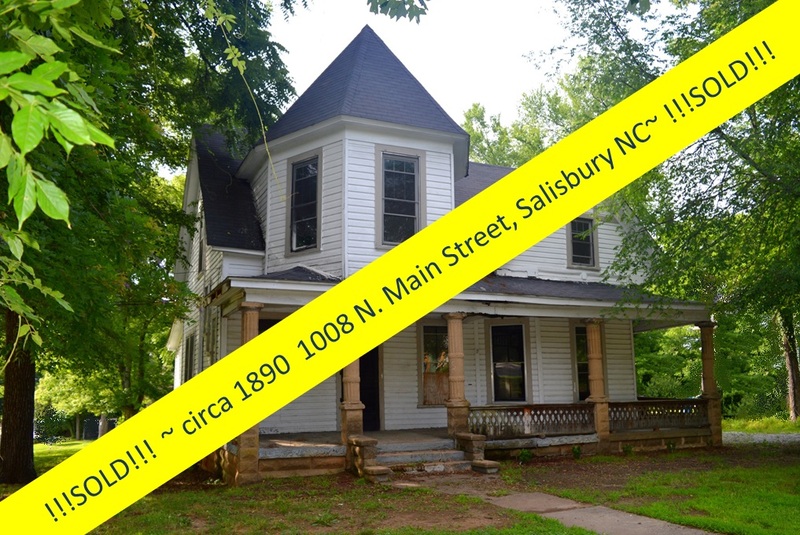 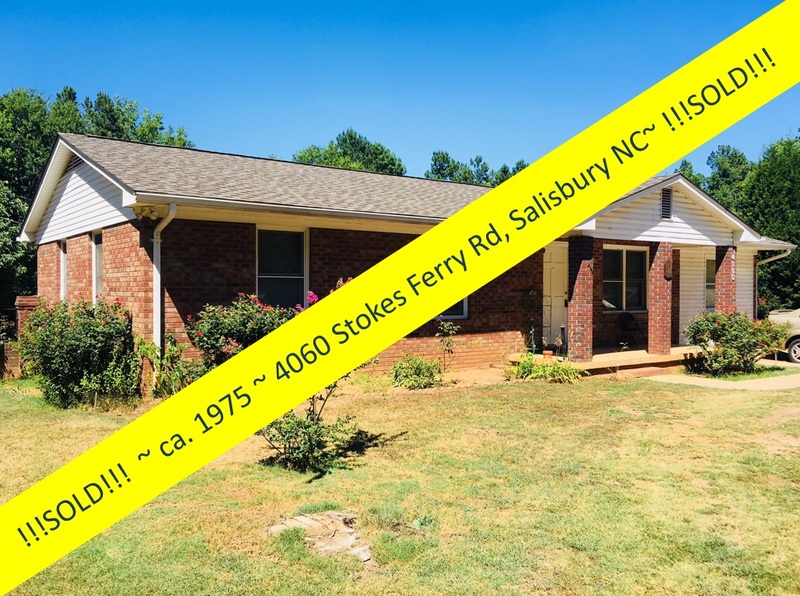 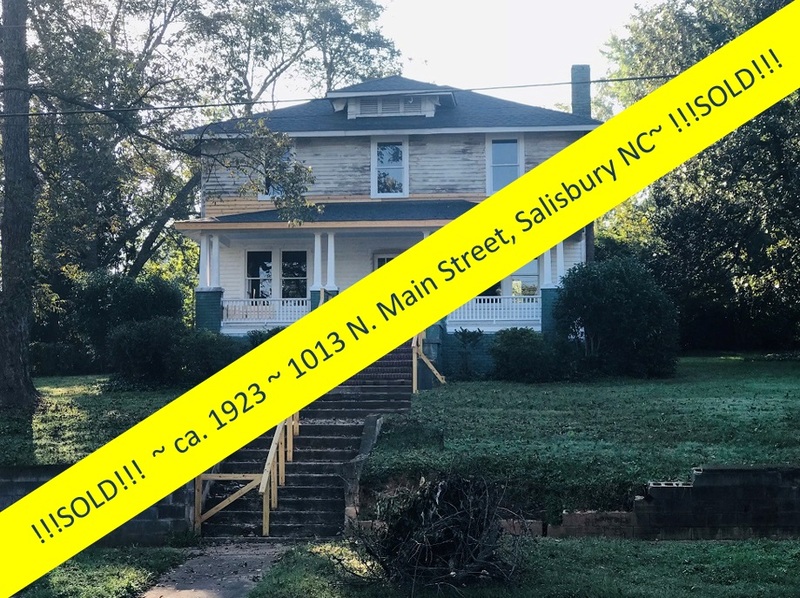 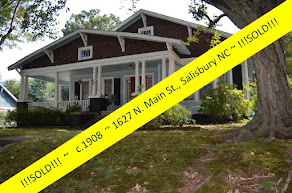 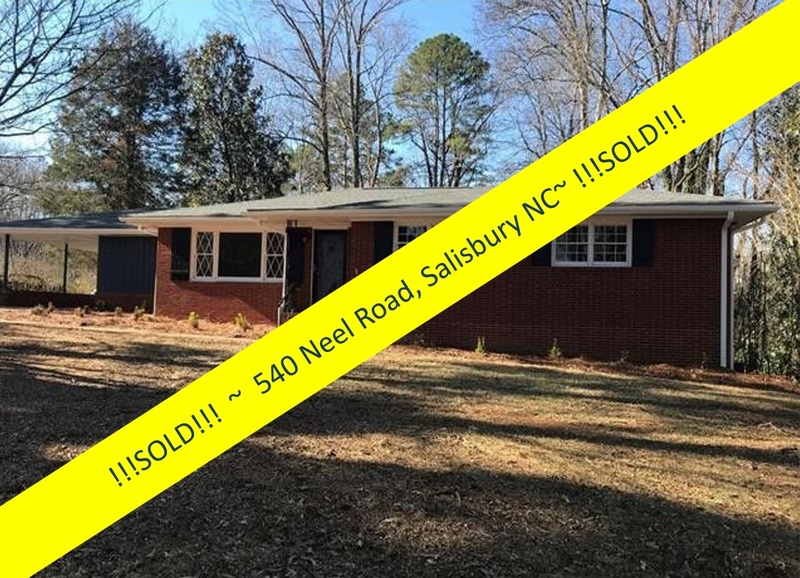 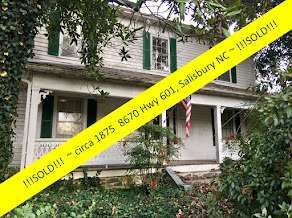 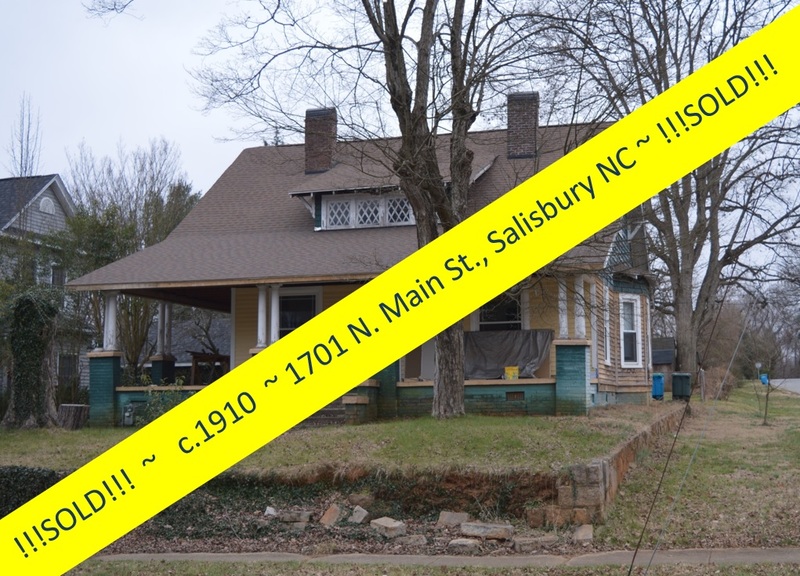 Salisbury, founded in 1753, is the oldest town in western North Carolina, has 10 historic districts listed in the National Register of Historic Places, and has a comprehensive historic preservation program. 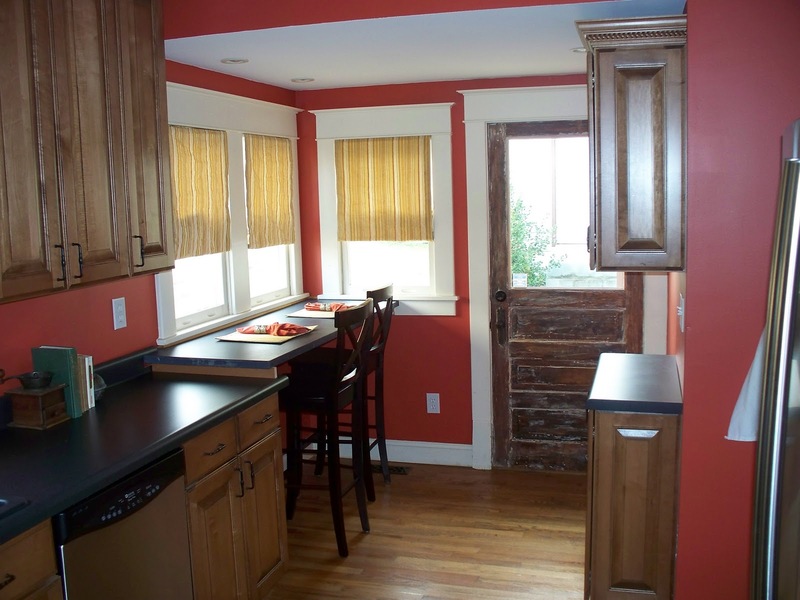 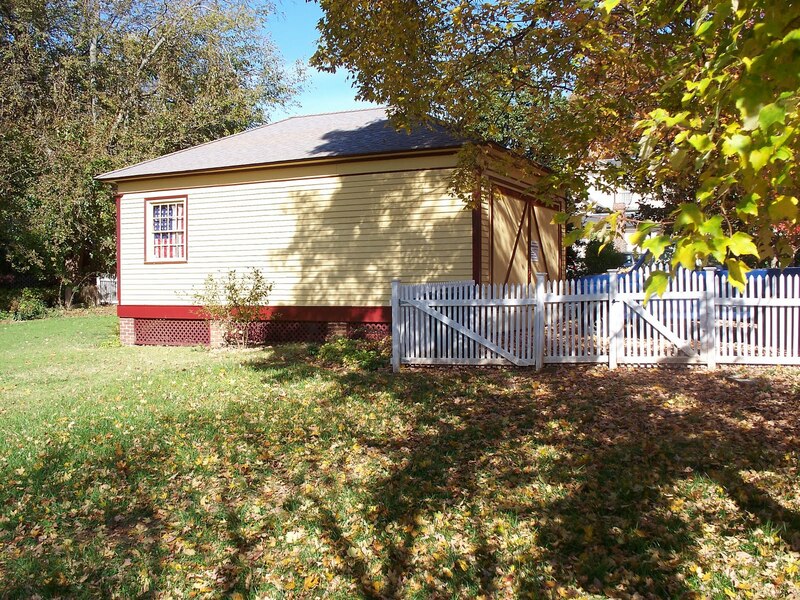 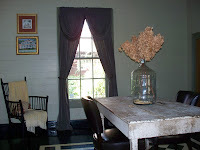 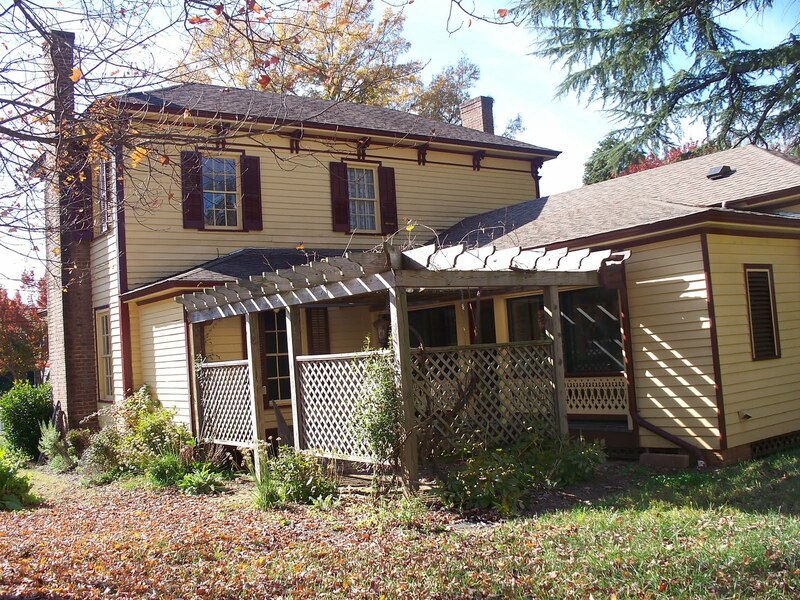 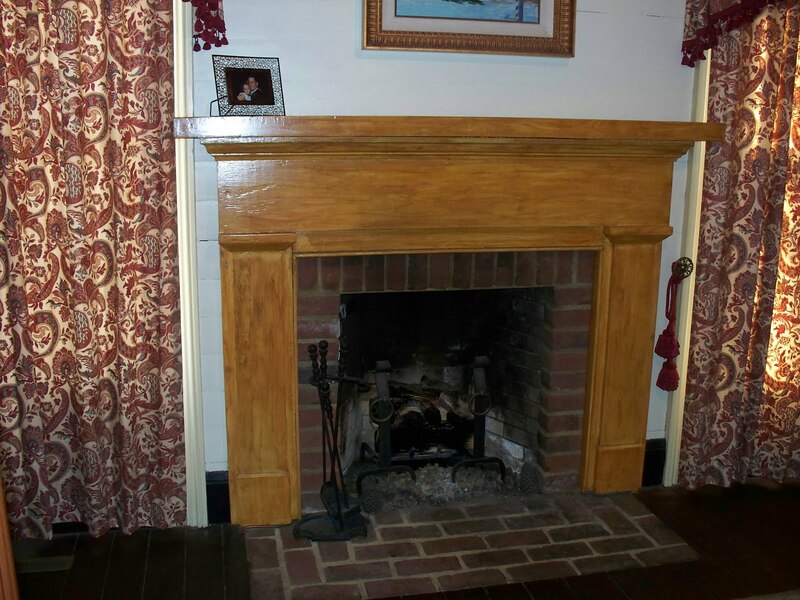 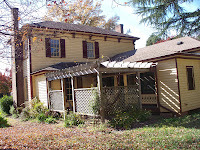 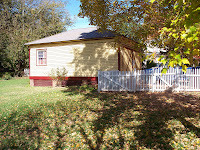 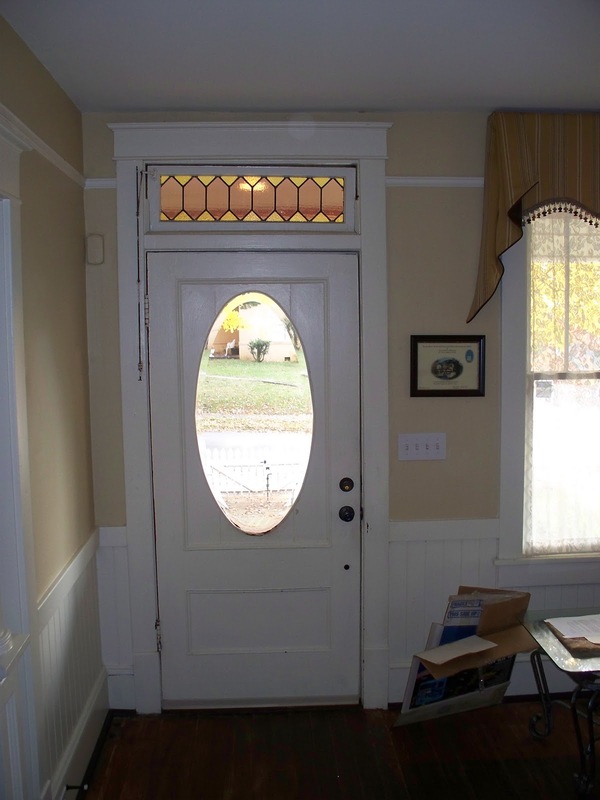 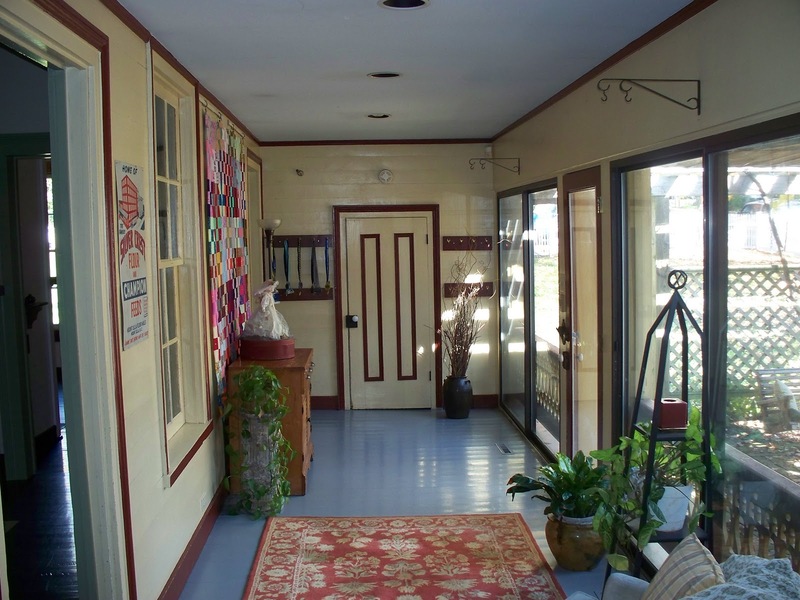 More Pictures of the Thomas T. Maxwell House, c. 1852, 300 W Horah Street ~ For Sale $279,000.